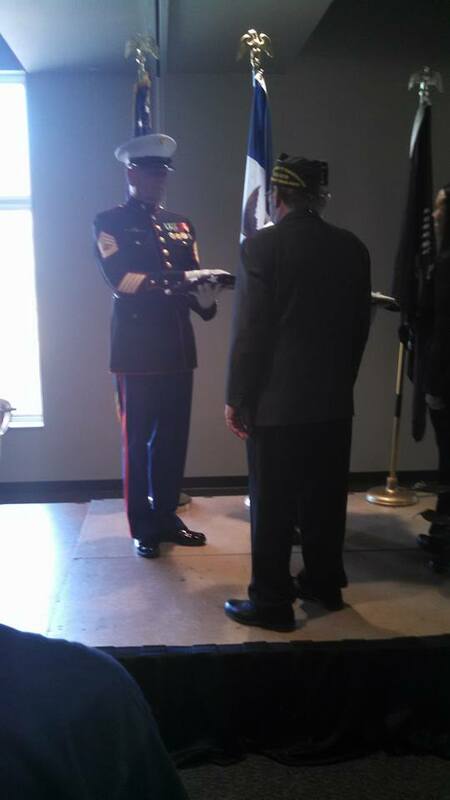 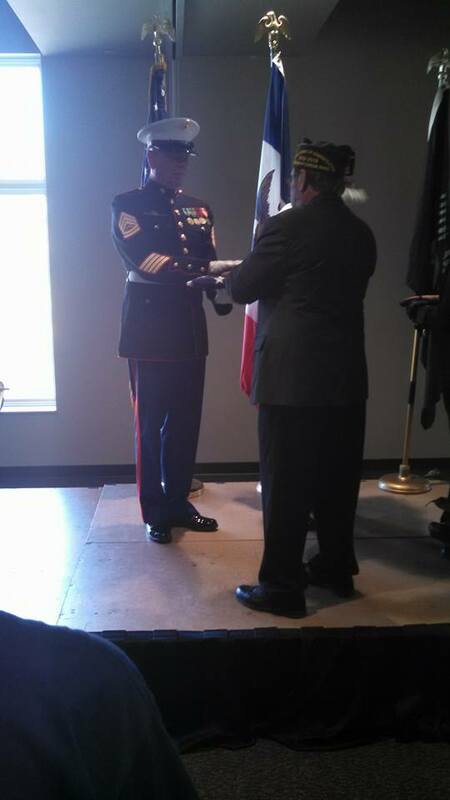 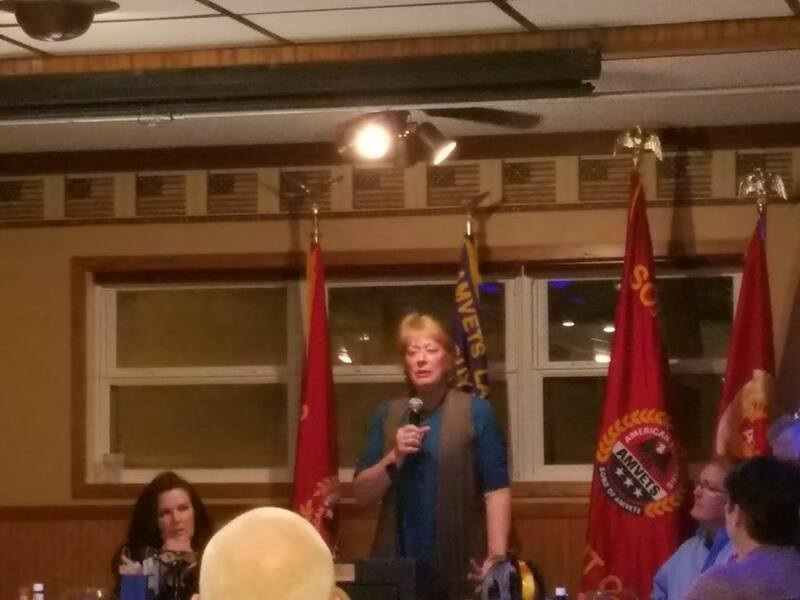 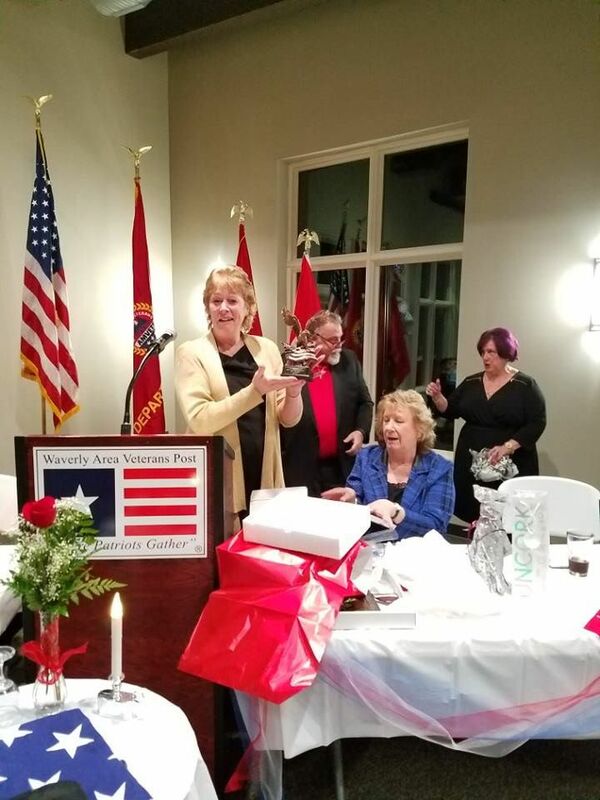 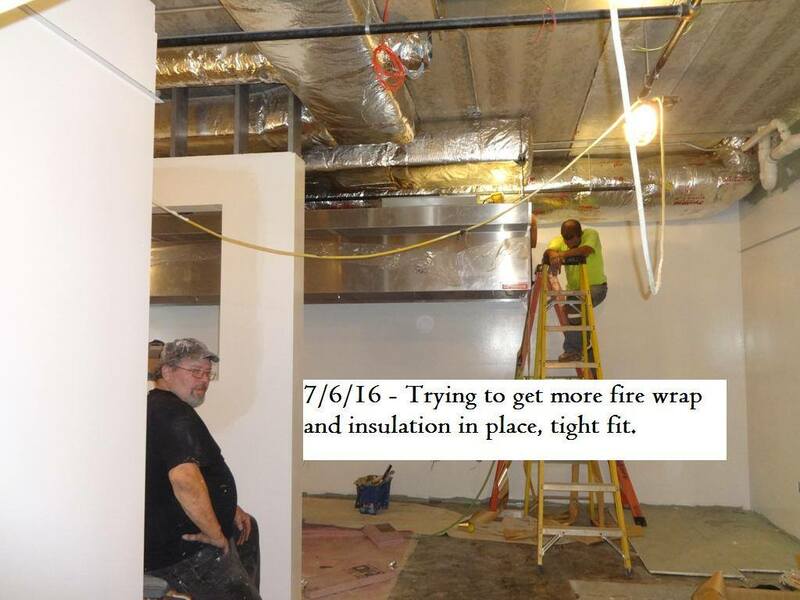 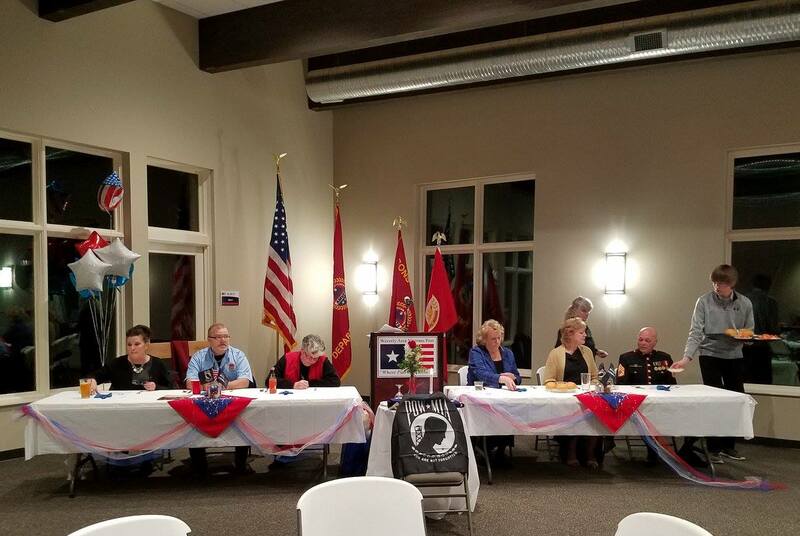 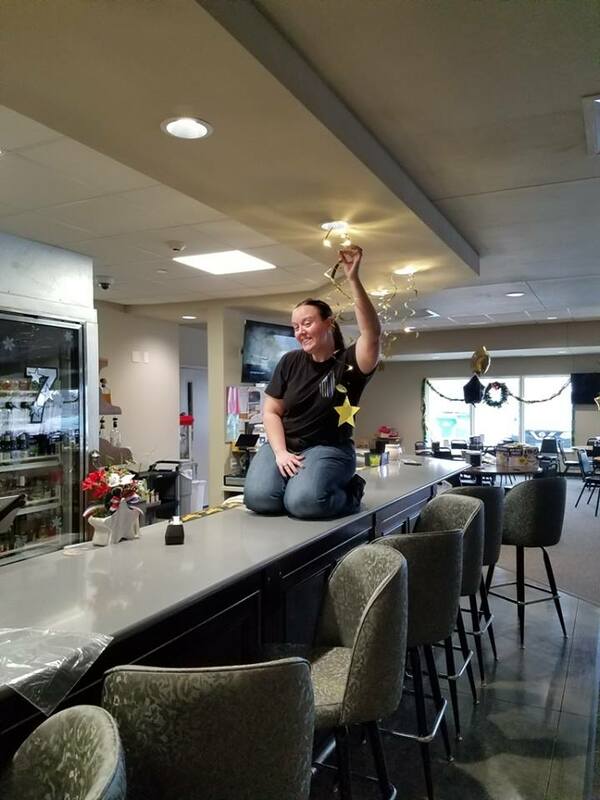 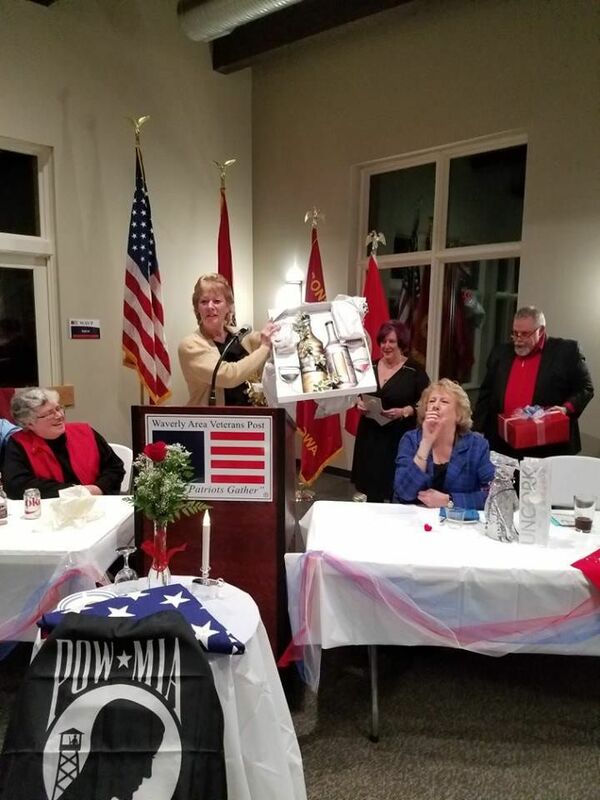 Welcome to the AMVETS Post 79 Picture Gallery! 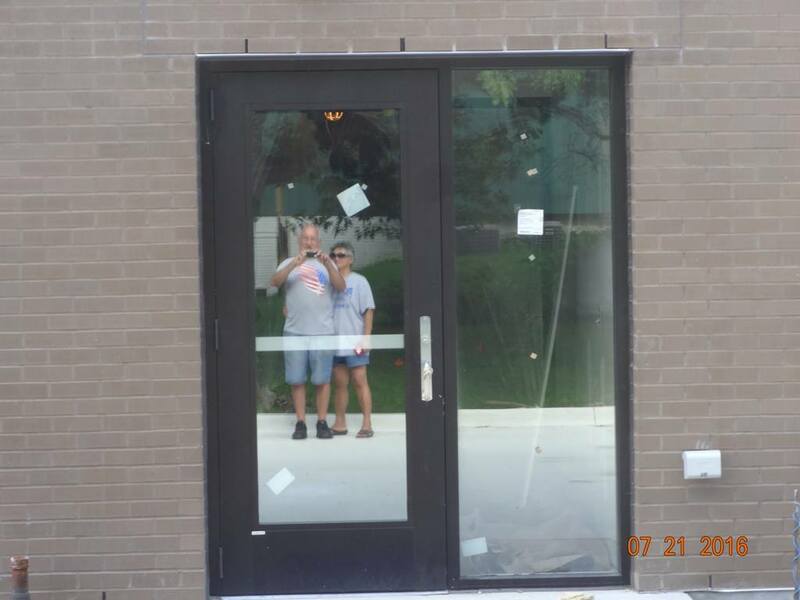 Click on any of the pictures below to get started. 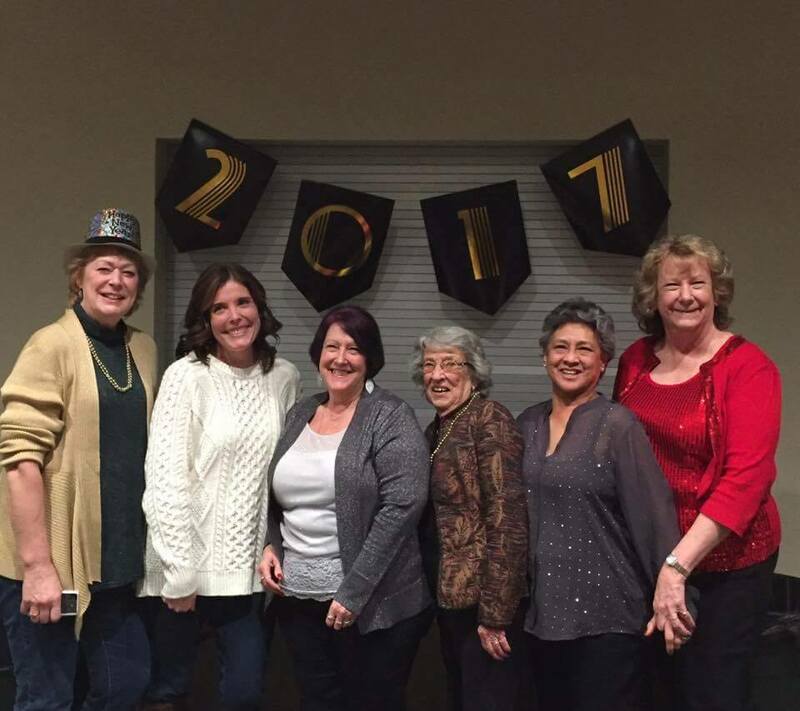 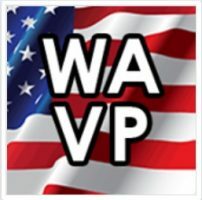 WAVP 2017 New Years Bash! 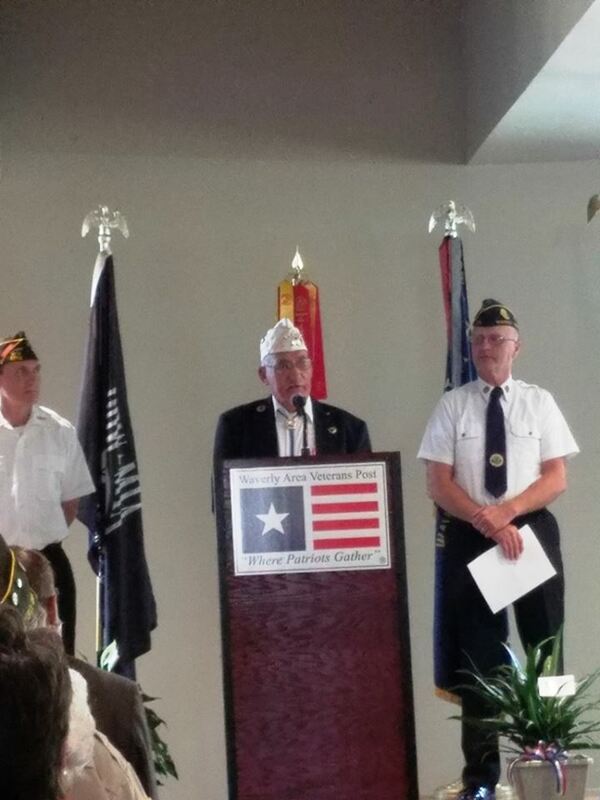 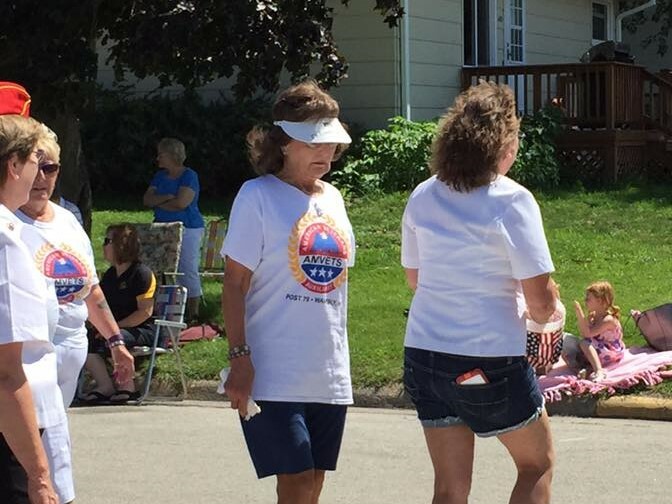 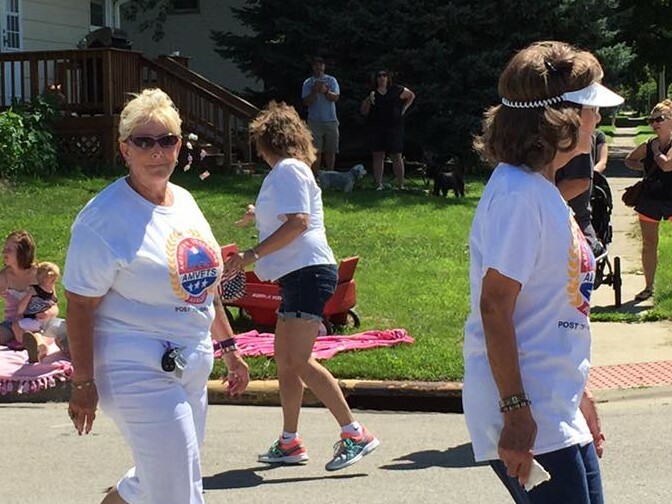 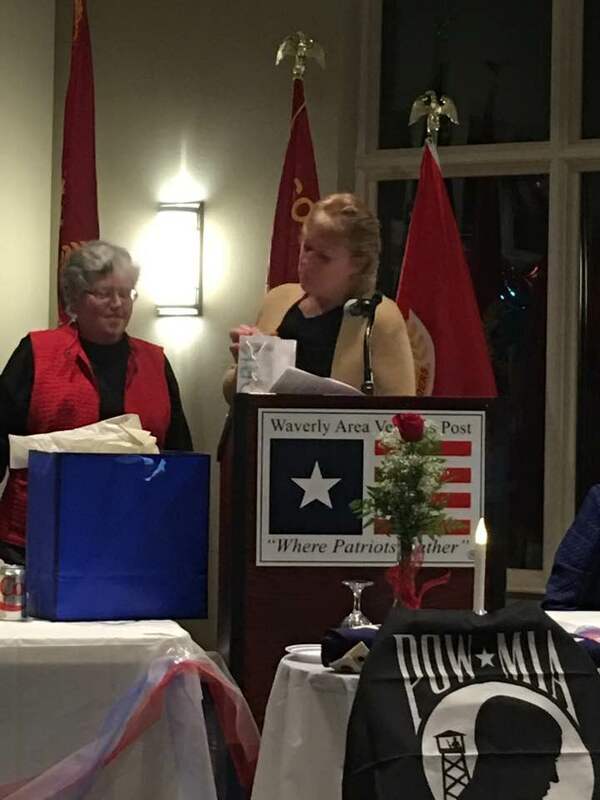 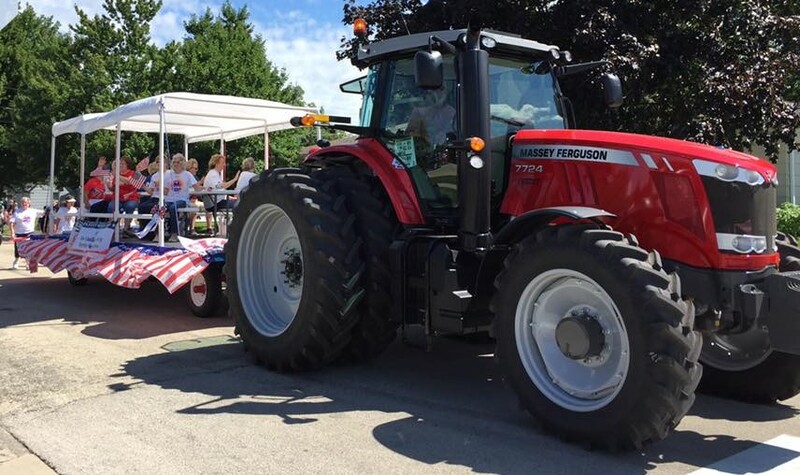 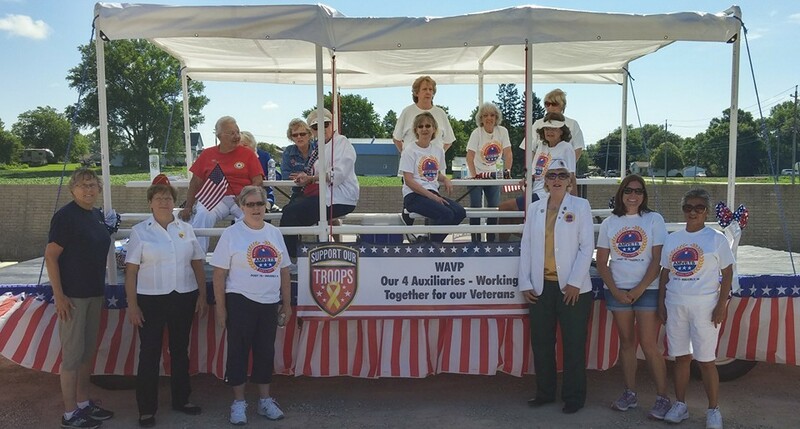 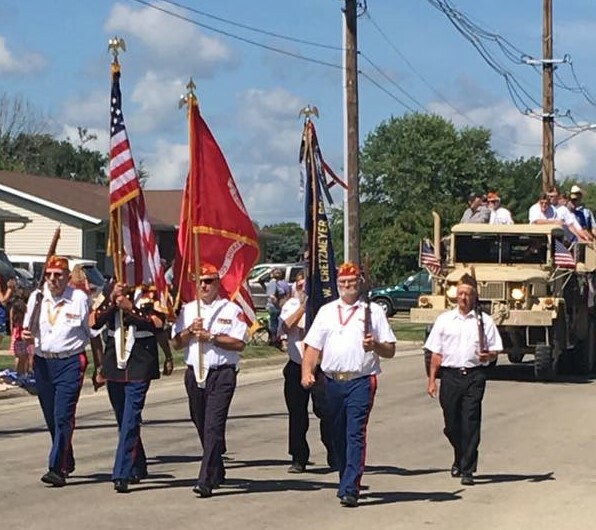 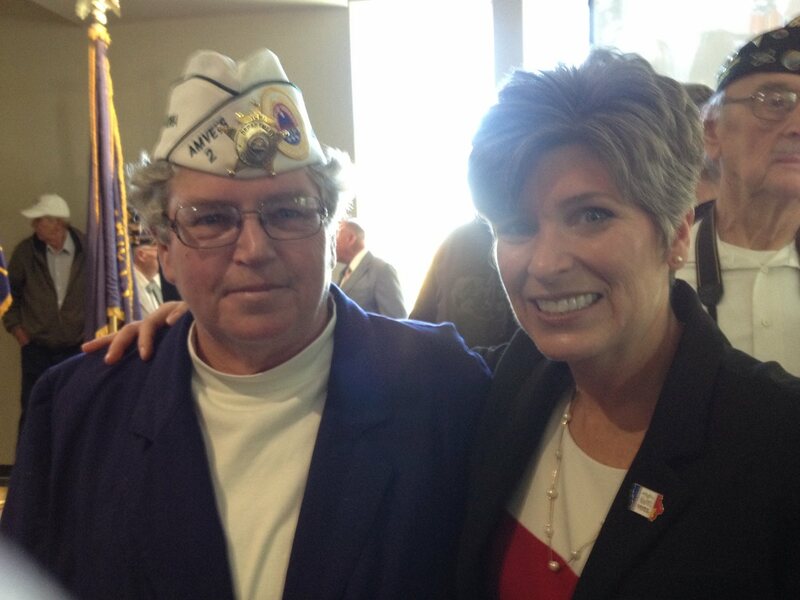 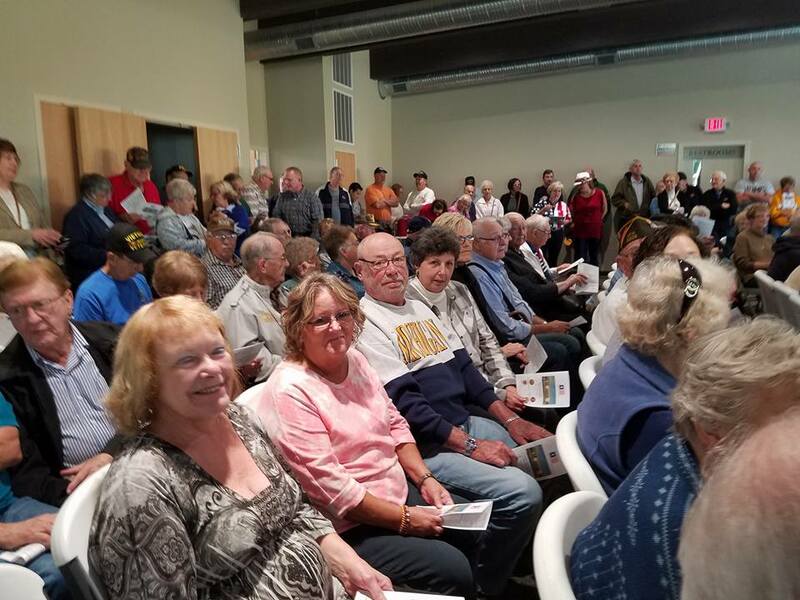 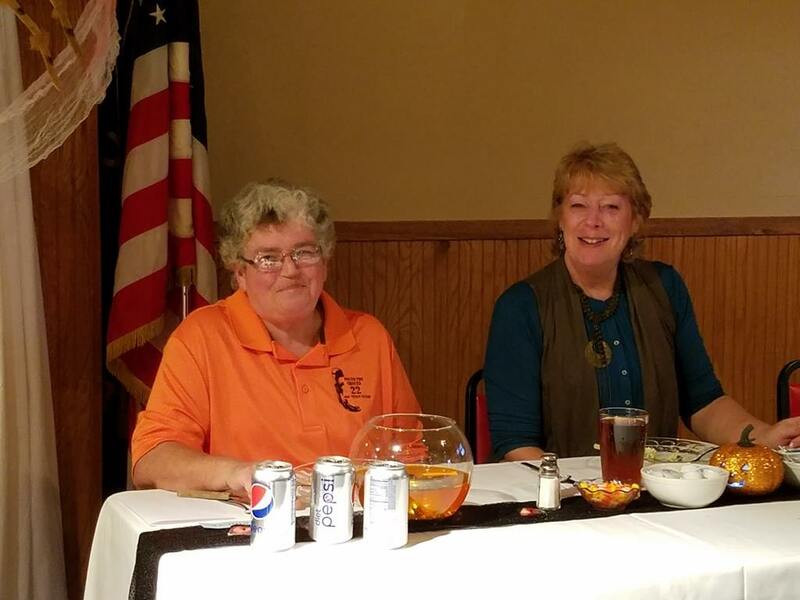 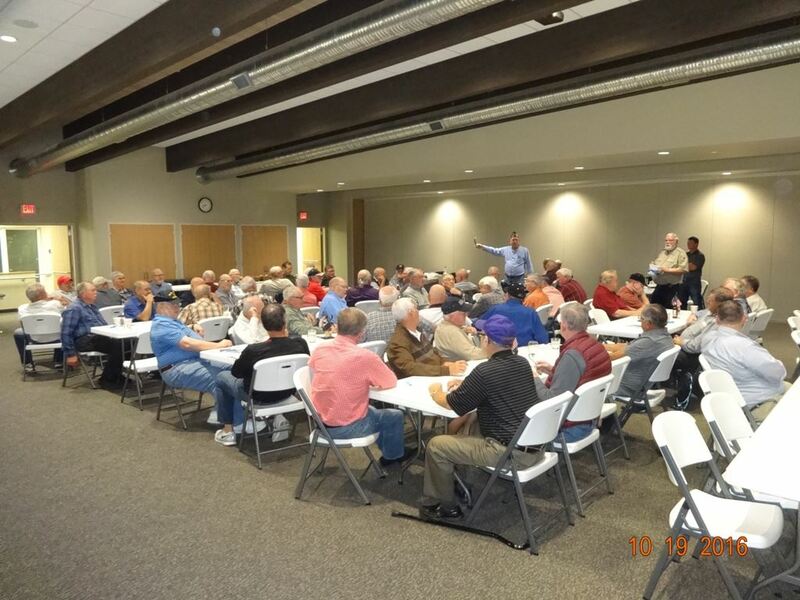 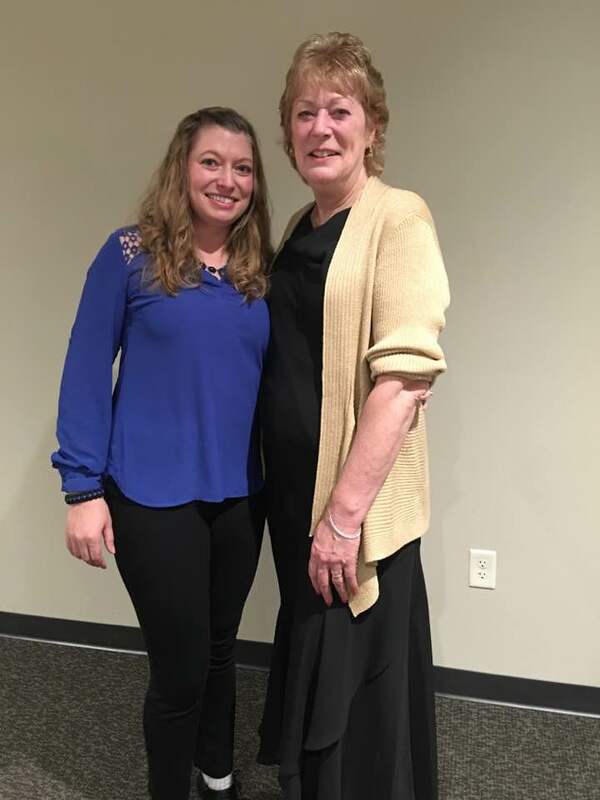 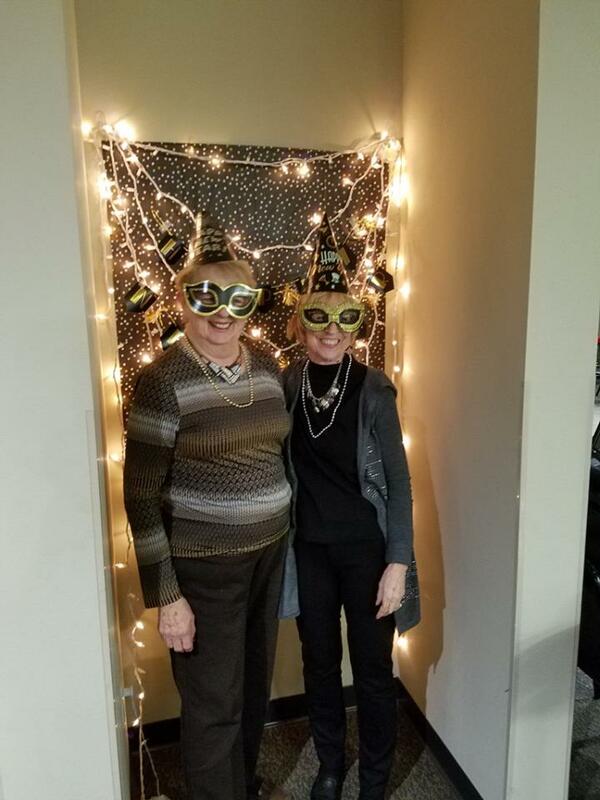 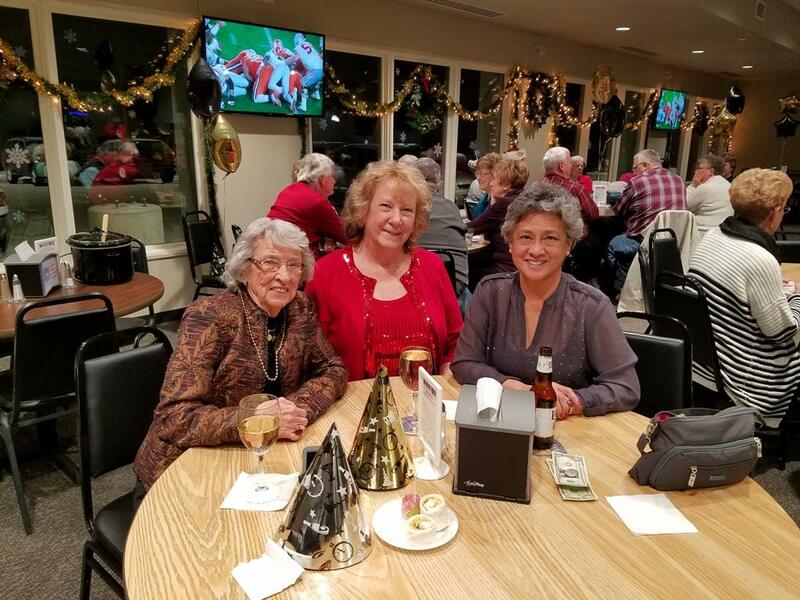 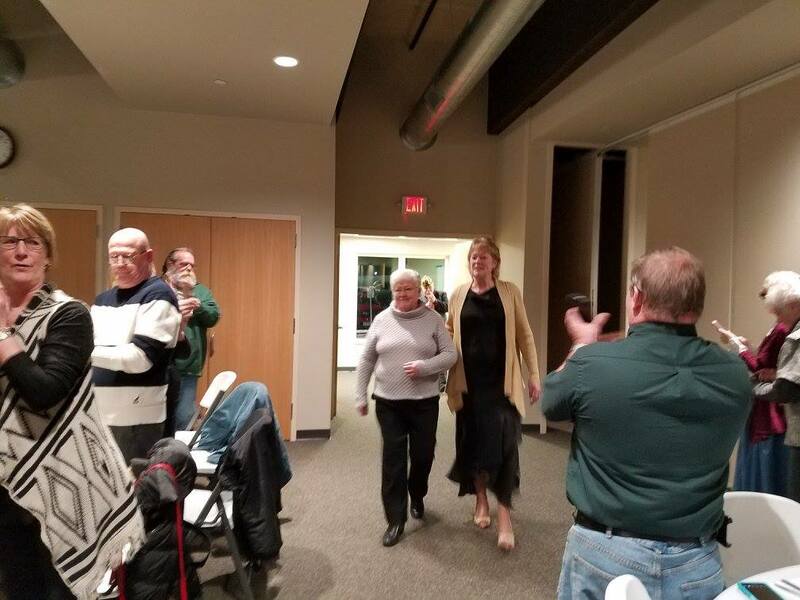 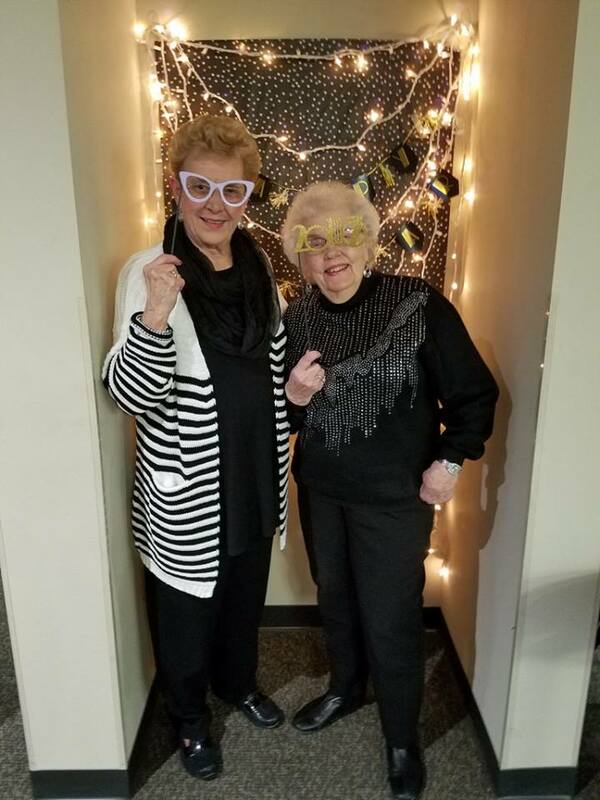 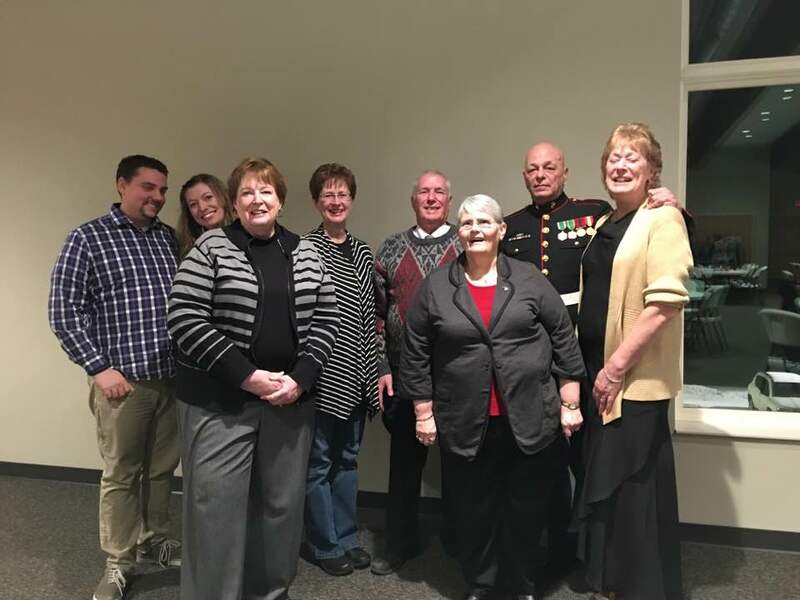 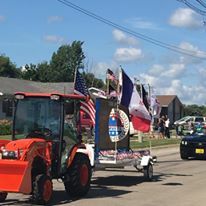 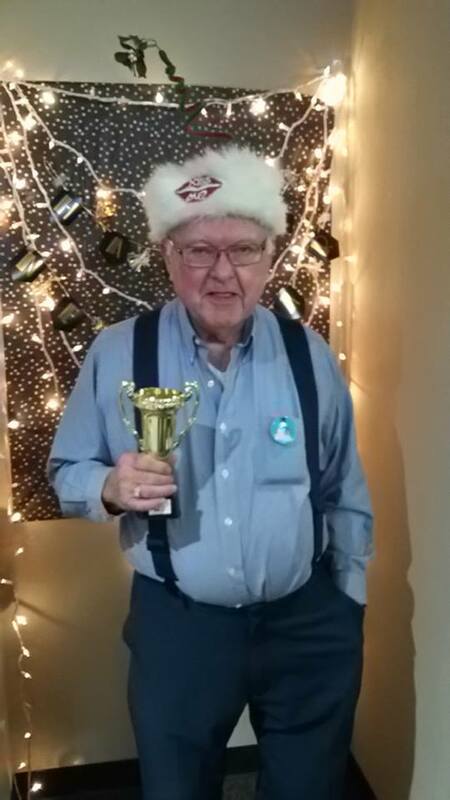 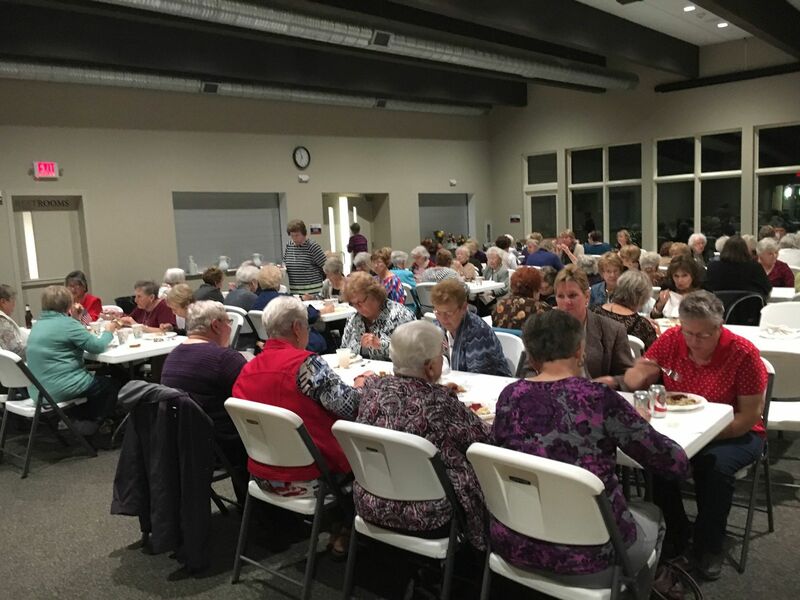 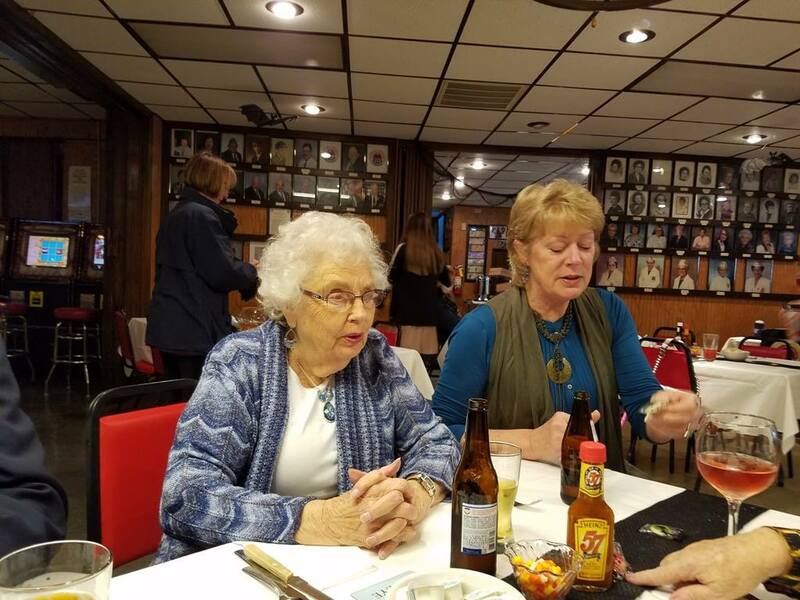 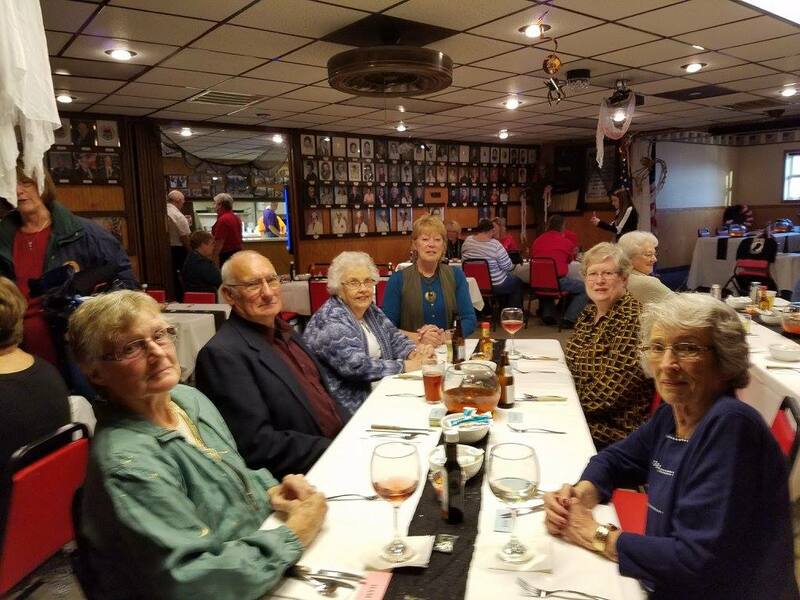 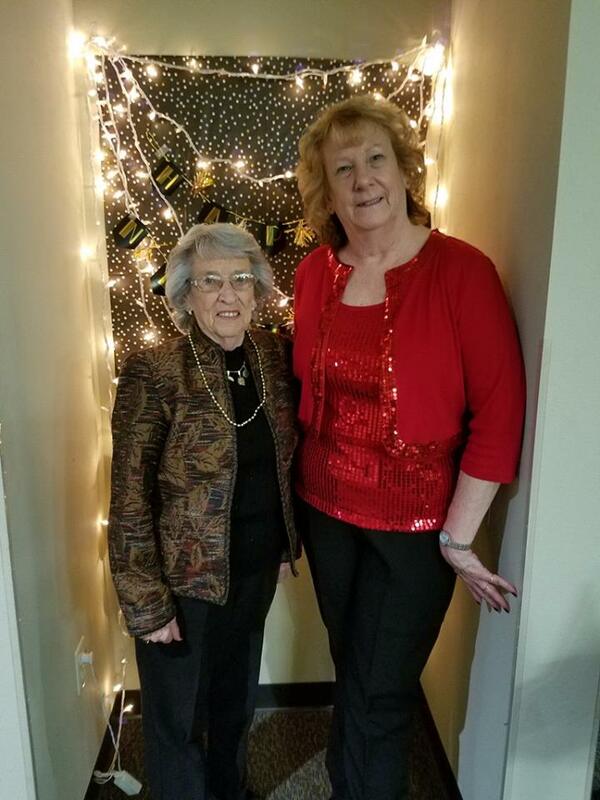 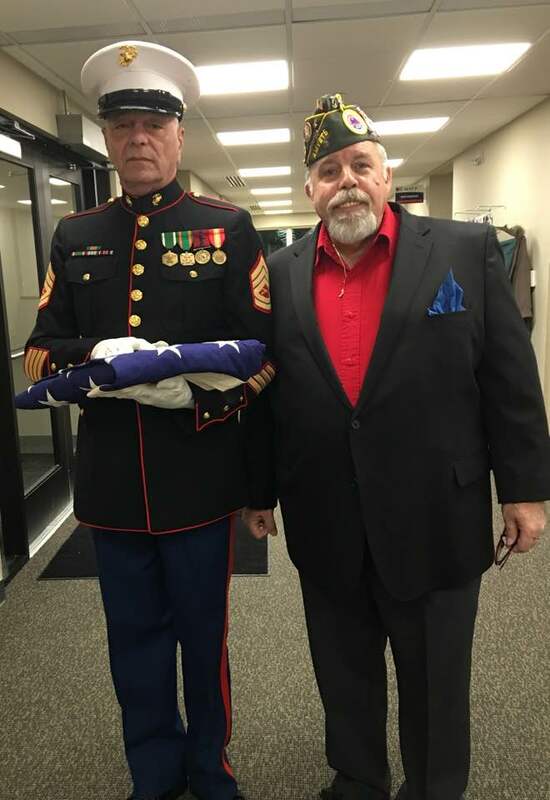 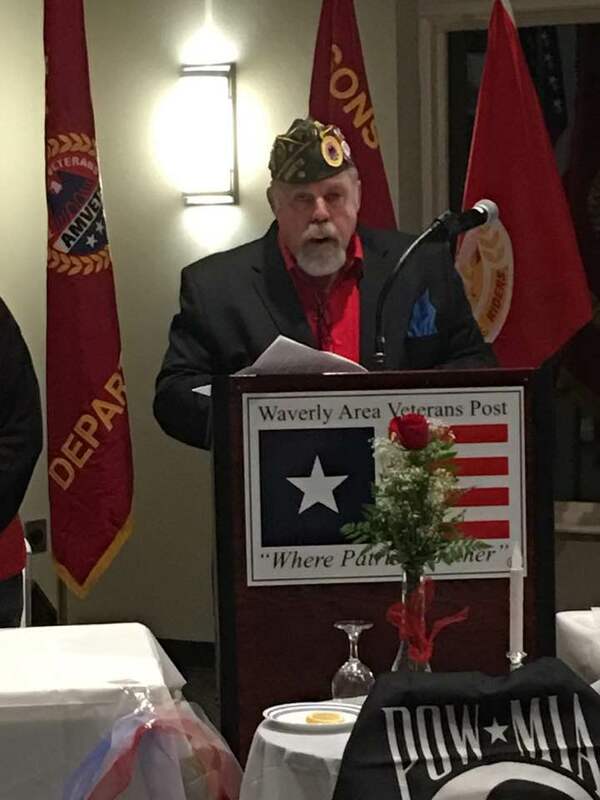 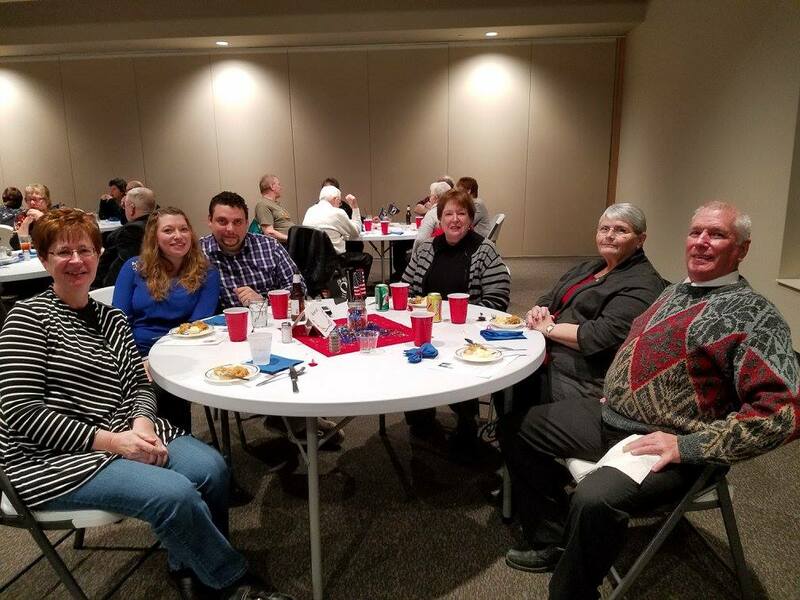 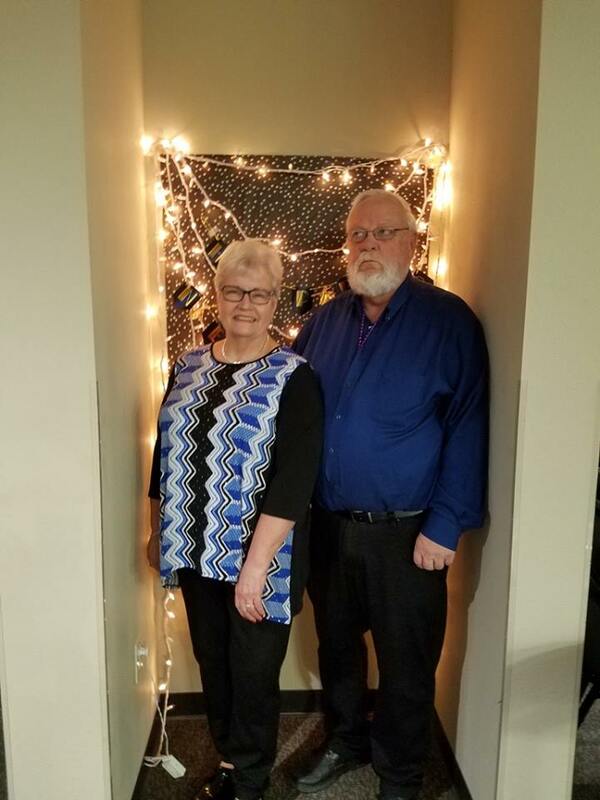 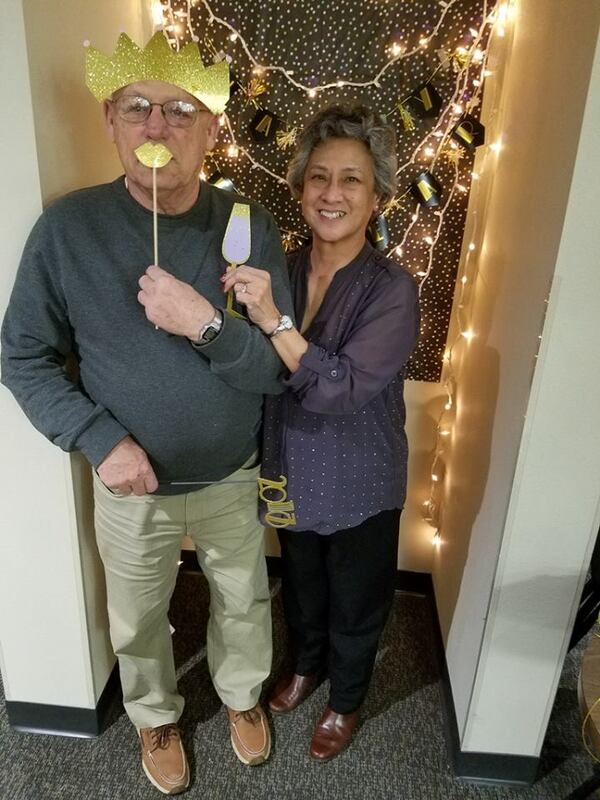 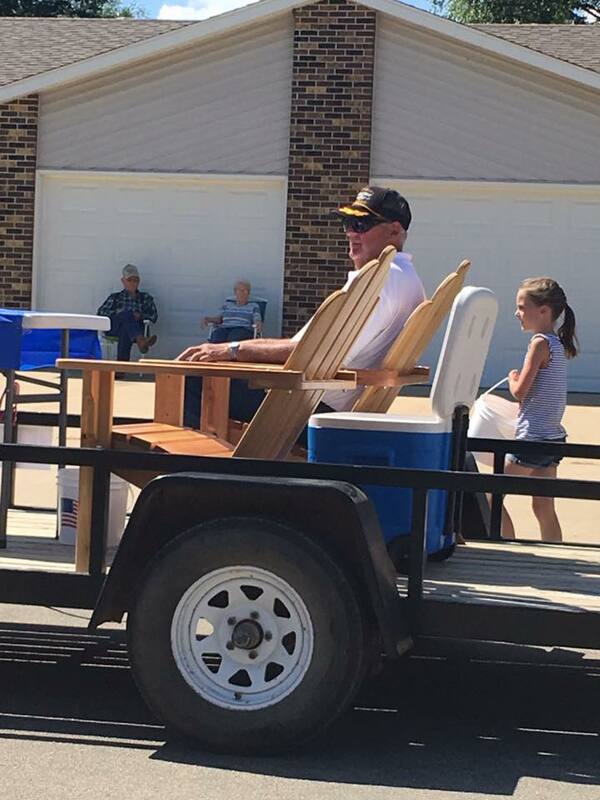 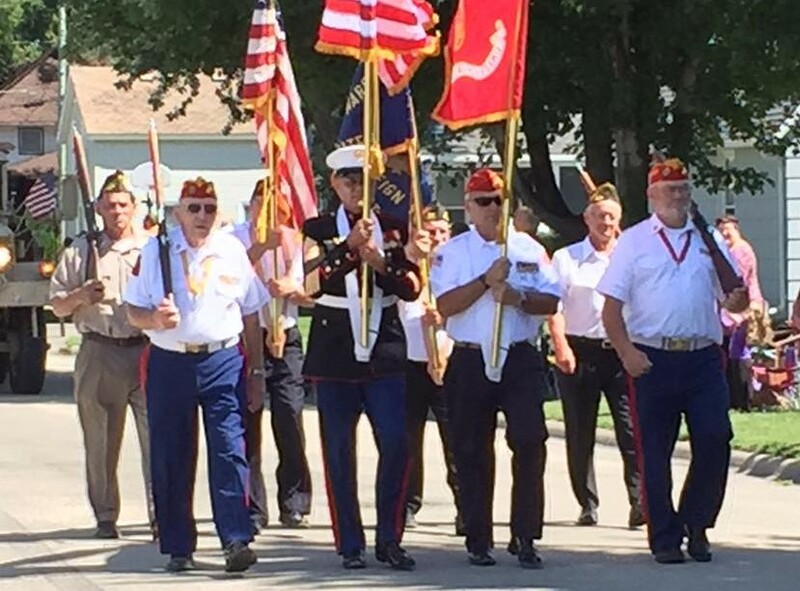 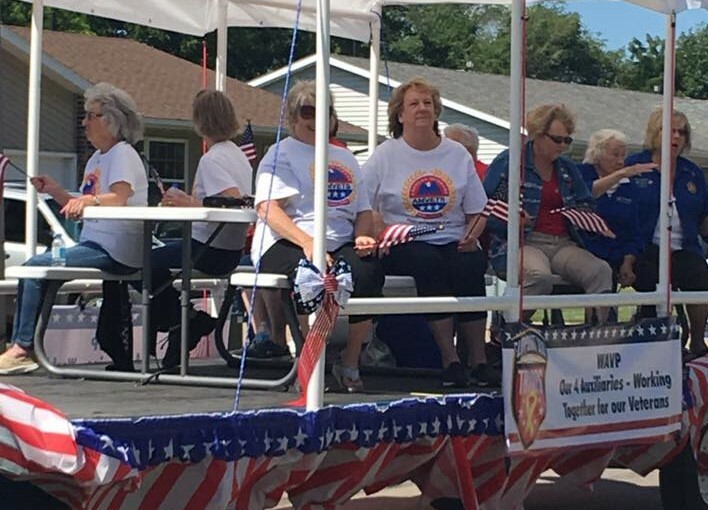 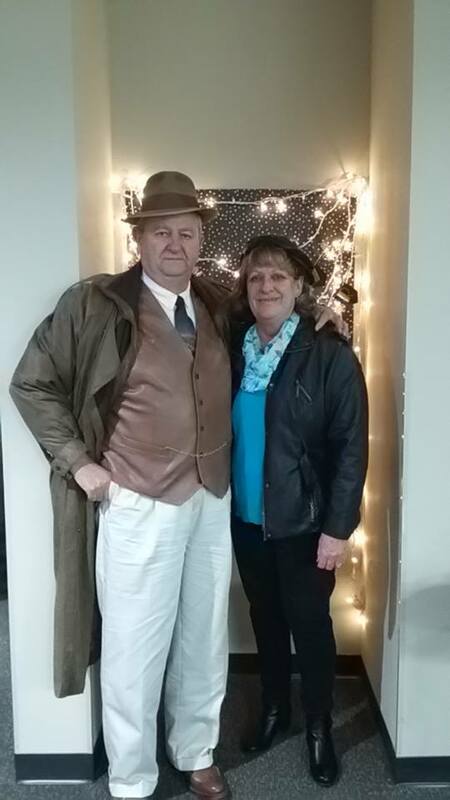 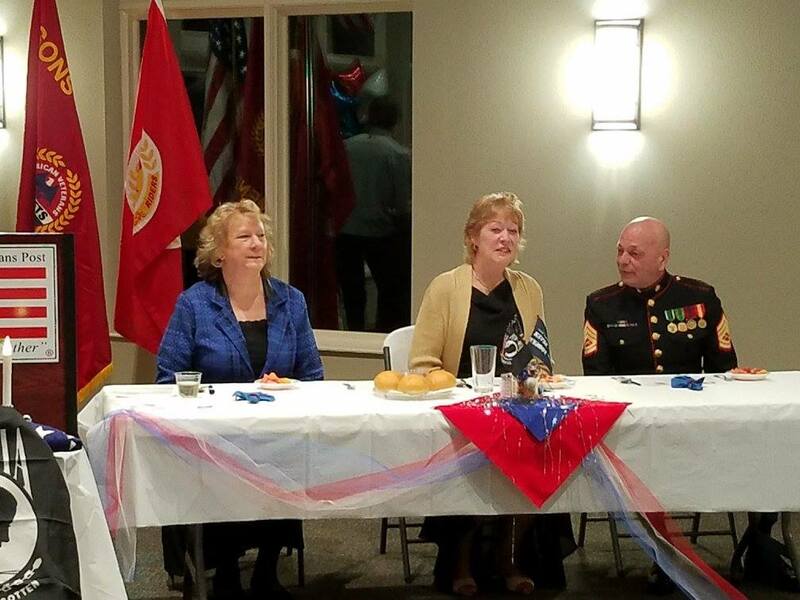 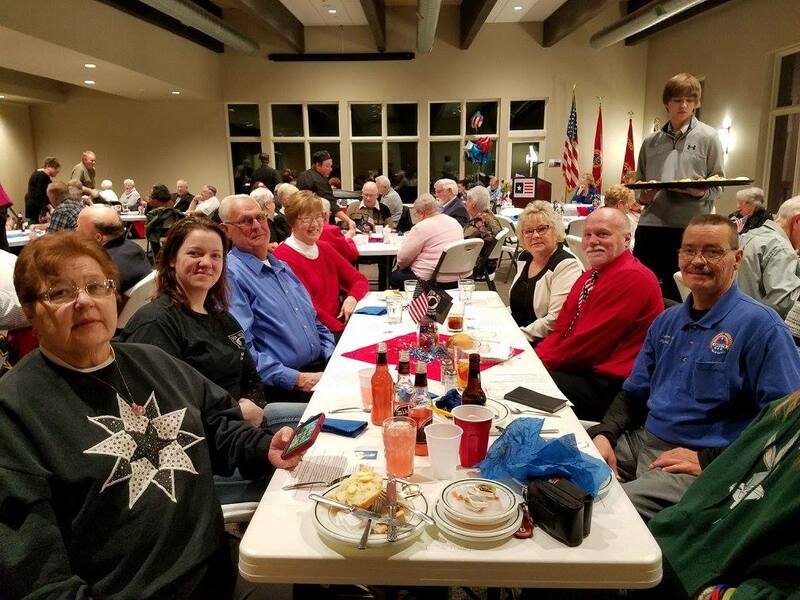 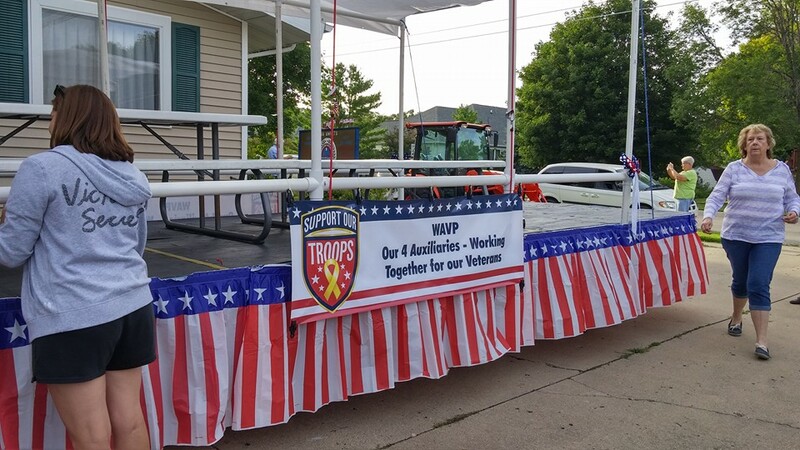 This entry was posted in Gallery and tagged AMVETS, post, 79, post 79, veterans, service members, community, AMVETS Post 79, Ladies, Auxiliary, Ladies Auxiliary, sons of amvets, sons, amvet, bremer, bremer county, Iowa, Iowa AMVETS Post 79, Waverly Iowa, AMVETS Club, waverly amvets, waverly vets, waverly veterans, waverly amvets post 79, waverly area veterans, WAVP, AMVETS Auxiliary, Waverly Area Veterans Post, amvets post, service, waverly ia, Waverly Area on January 3, 2017 by NuggetWeb Support. 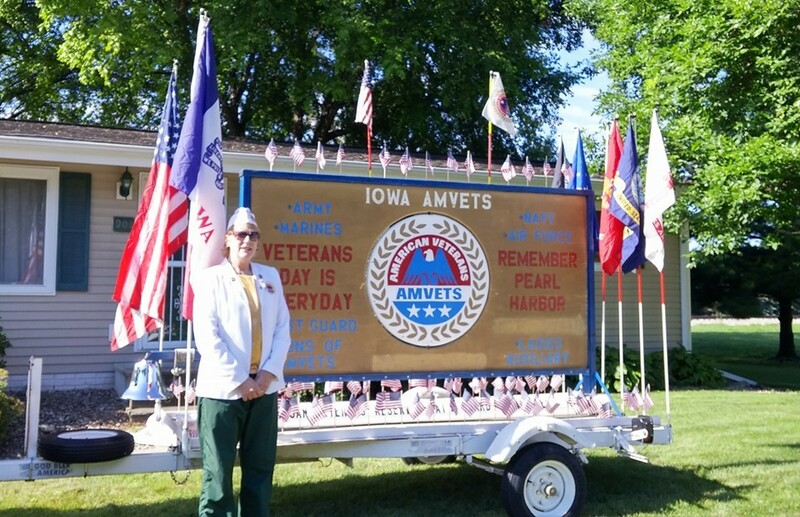 This entry was posted in Gallery and tagged AMVETS, post, 79, post 79, veterans, service members, community, AMVETS Post 79, Ladies, Auxiliary, Ladies Auxiliary, sons of amvets, sons, amvet, bremer, bremer county, Iowa, Iowa AMVETS Post 79, Waverly Iowa, AMVETS Club, waverly amvets, waverly vets, waverly veterans, waverly amvets post 79, waverly area veterans, WAVP, AMVETS Auxiliary, Waverly Area Veterans Post, amvets post, service, waverly ia, Waverly Area on October 30, 2016 by NuggetWeb Support. 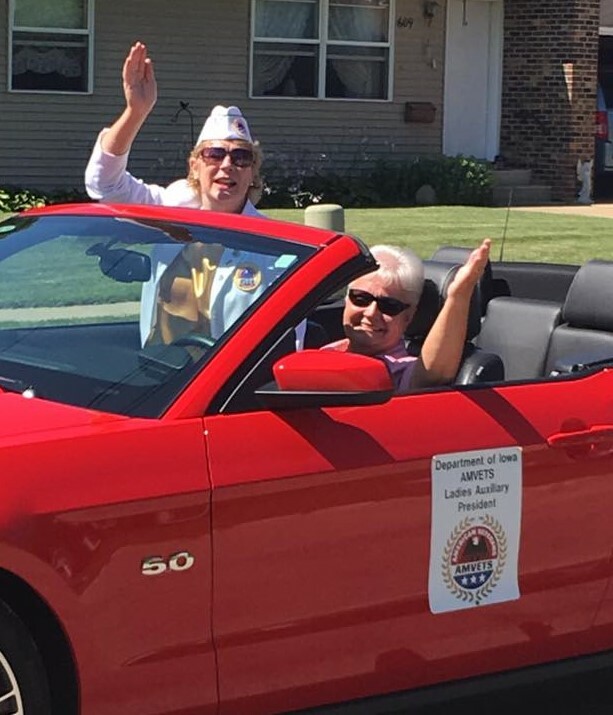 This entry was posted in Gallery and tagged AMVETS, post, 79, post 79, veterans, service members, community, AMVETS Post 79, Ladies, Auxiliary, Ladies Auxiliary, sons of amvets, sons, amvet, bremer, bremer county, Iowa, Iowa AMVETS Post 79, Waverly Iowa, AMVETS Club, waverly amvets, waverly vets, waverly veterans, waverly amvets post 79, waverly area veterans, WAVP, AMVETS Auxiliary, Waverly Area Veterans Post, amvets post, service, waverly ia, Waverly Area on October 23, 2016 by NuggetWeb Support. 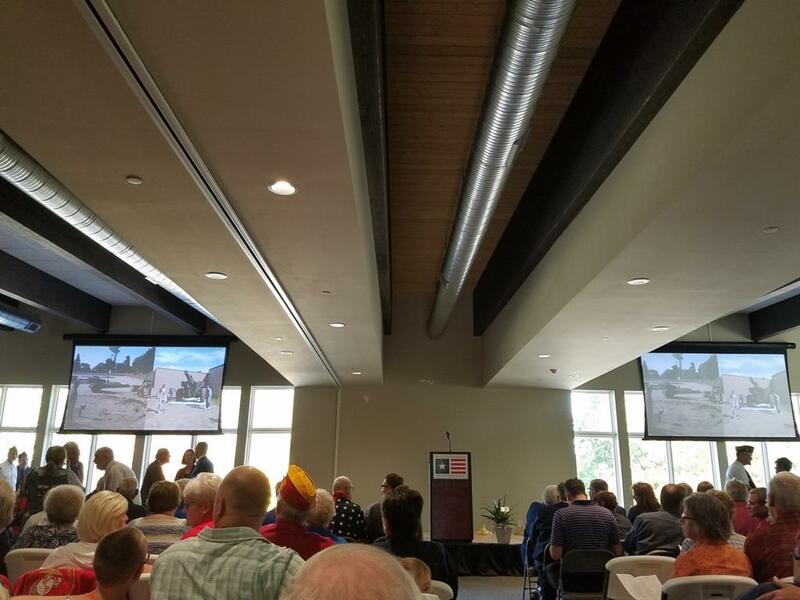 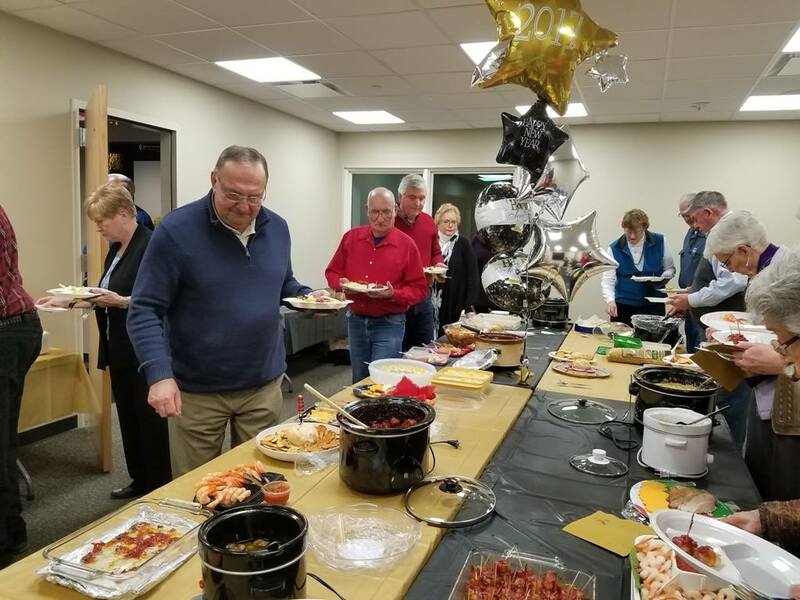 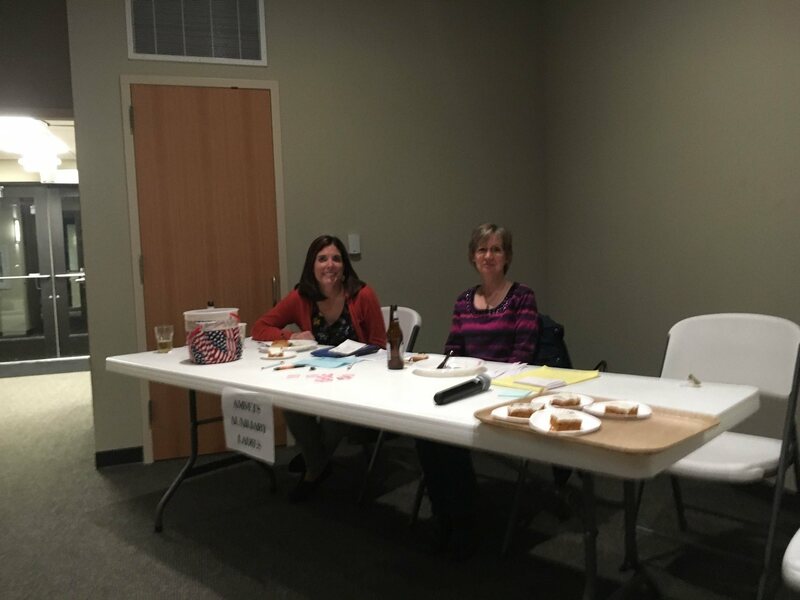 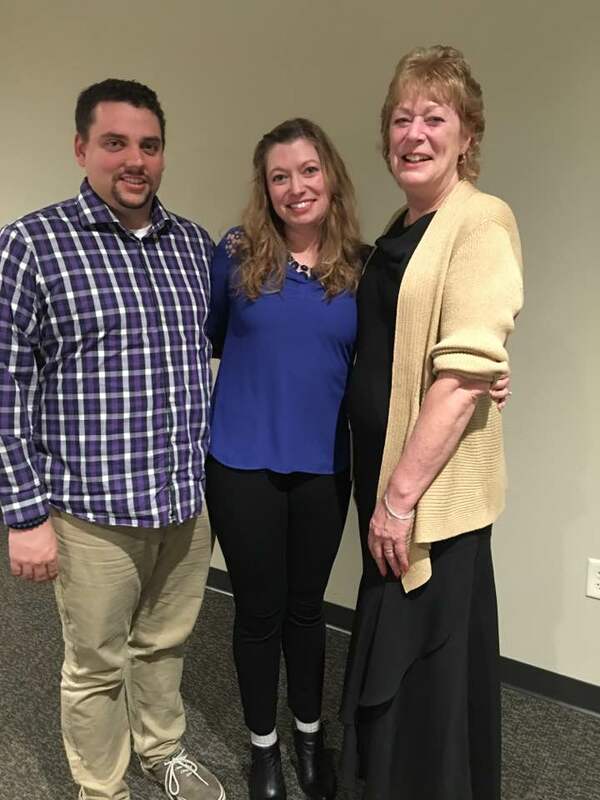 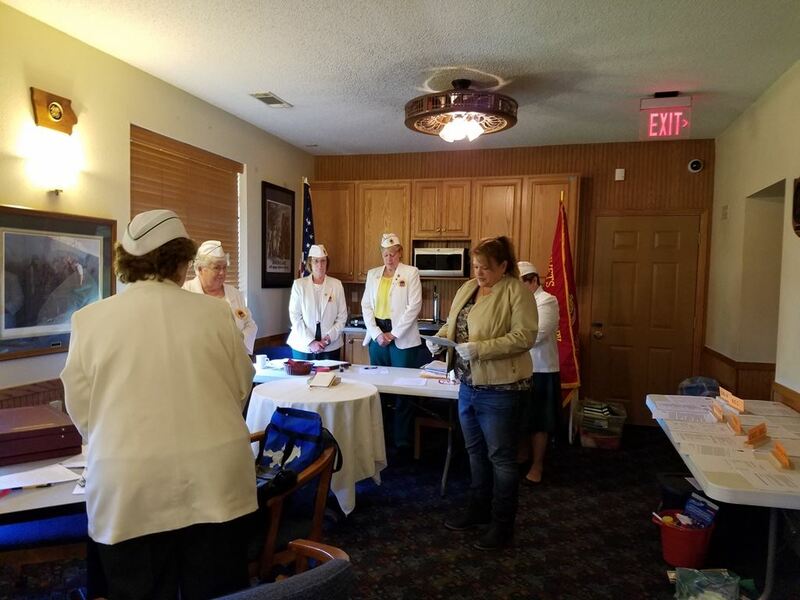 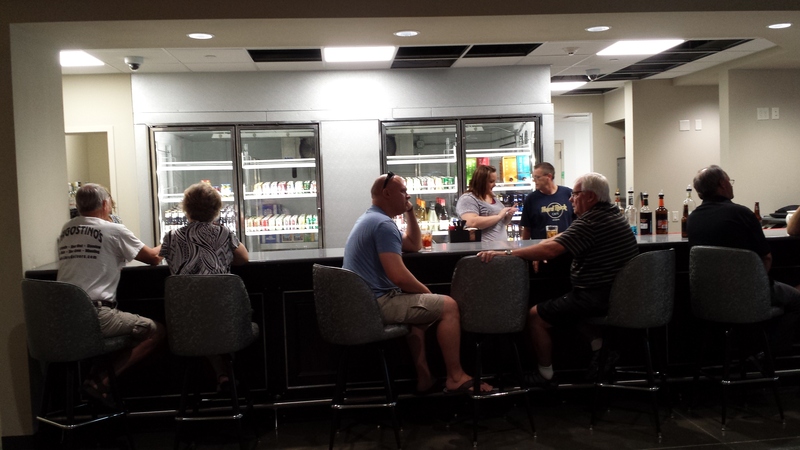 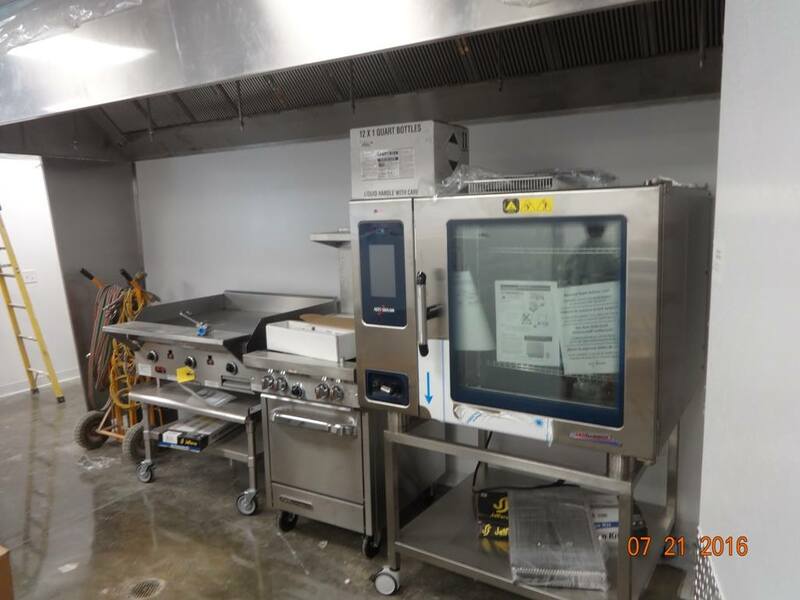 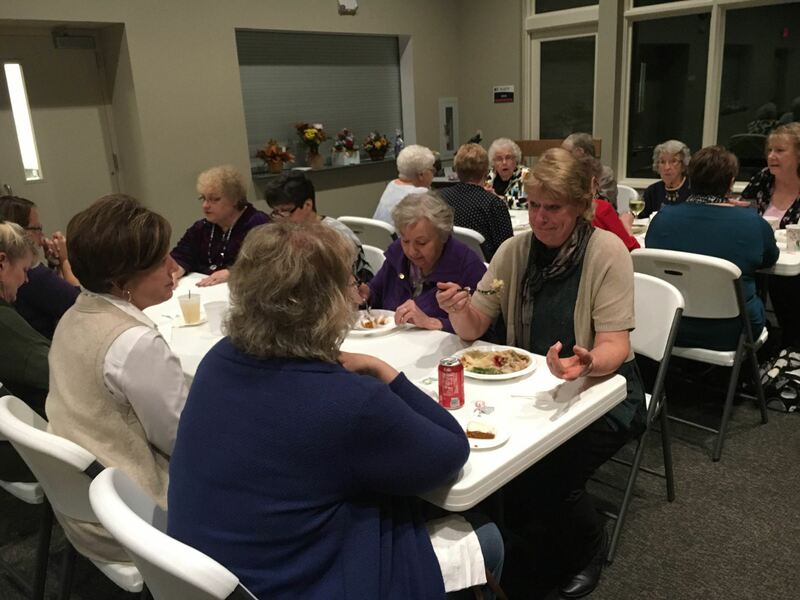 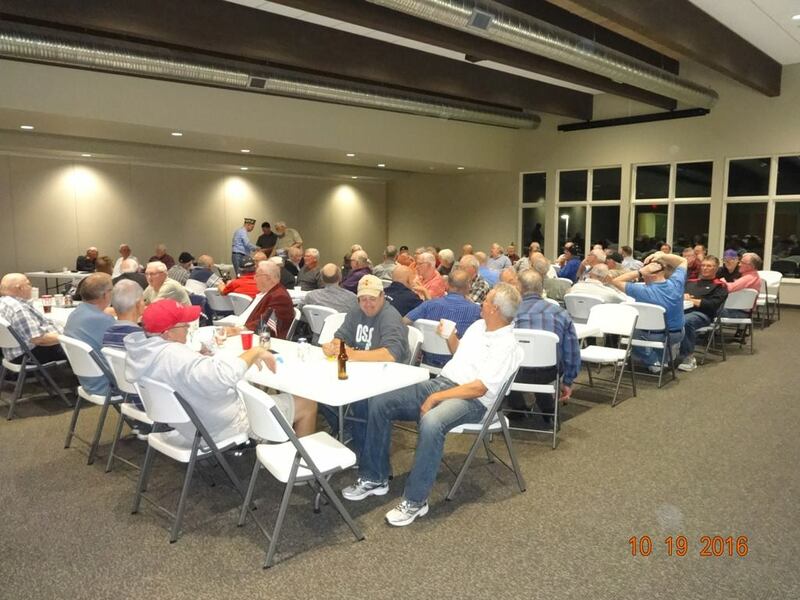 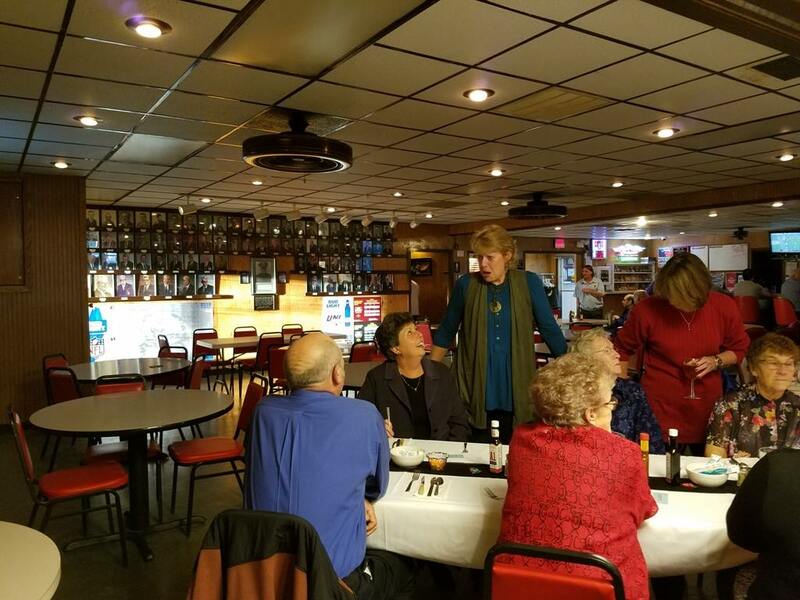 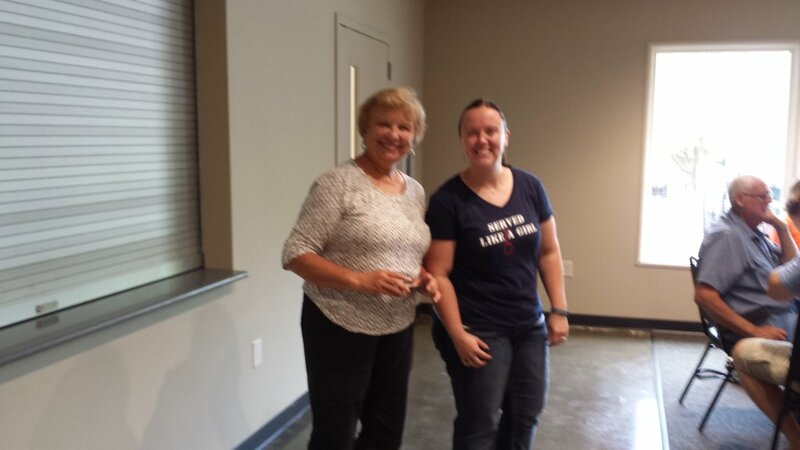 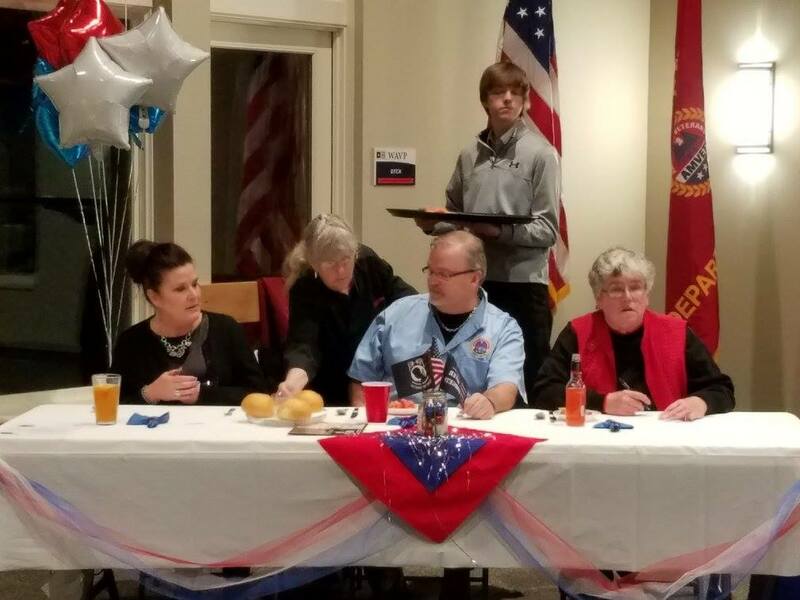 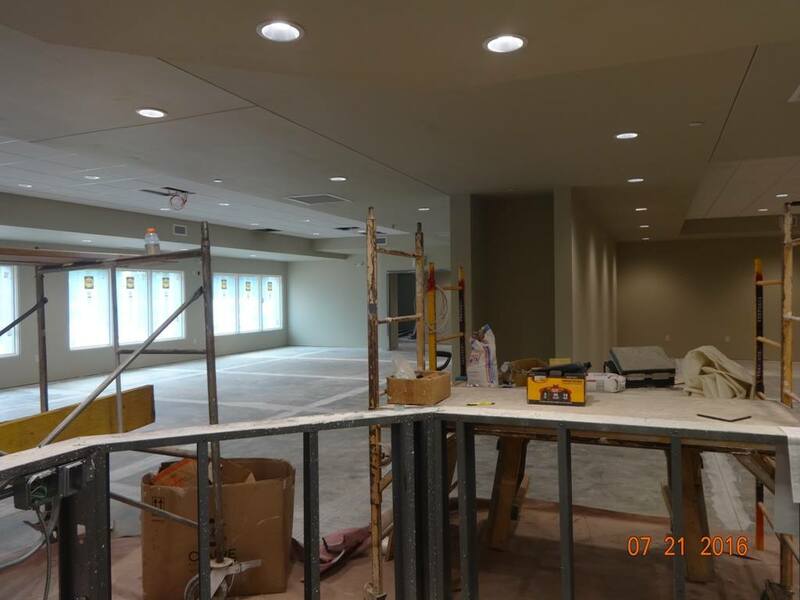 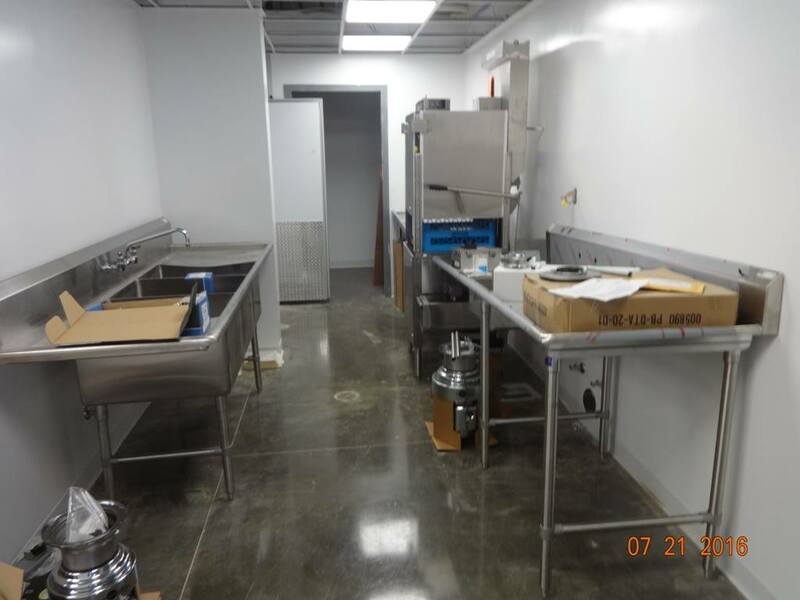 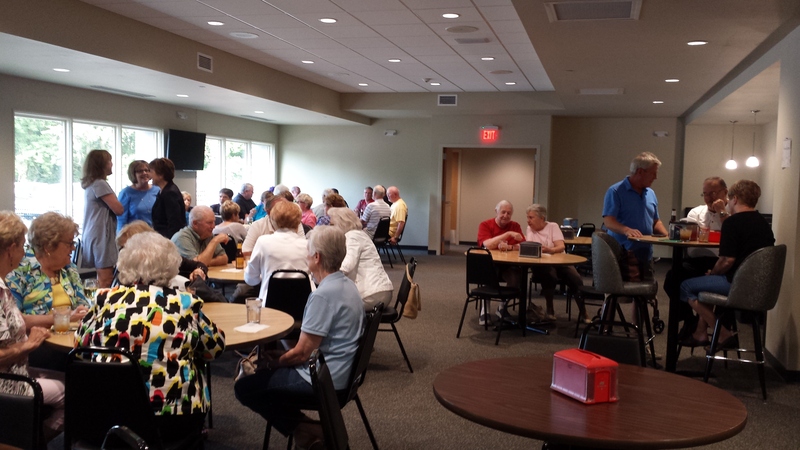 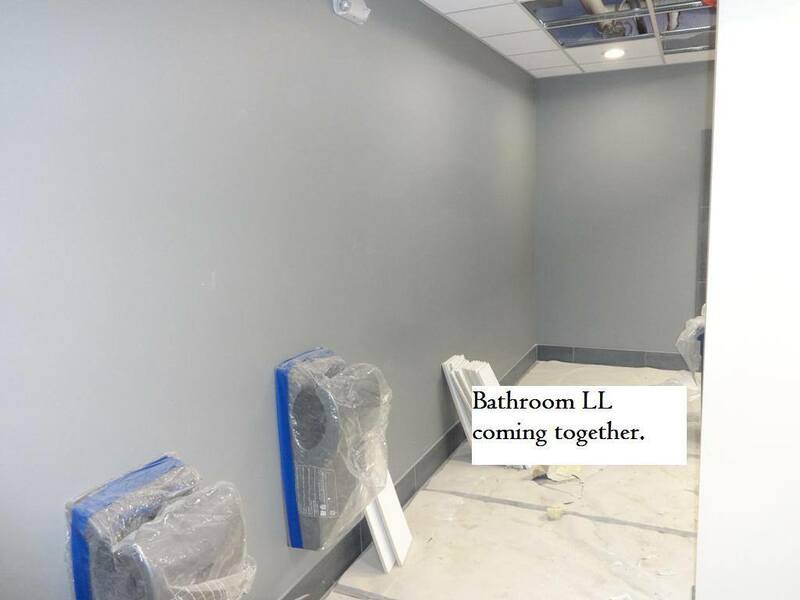 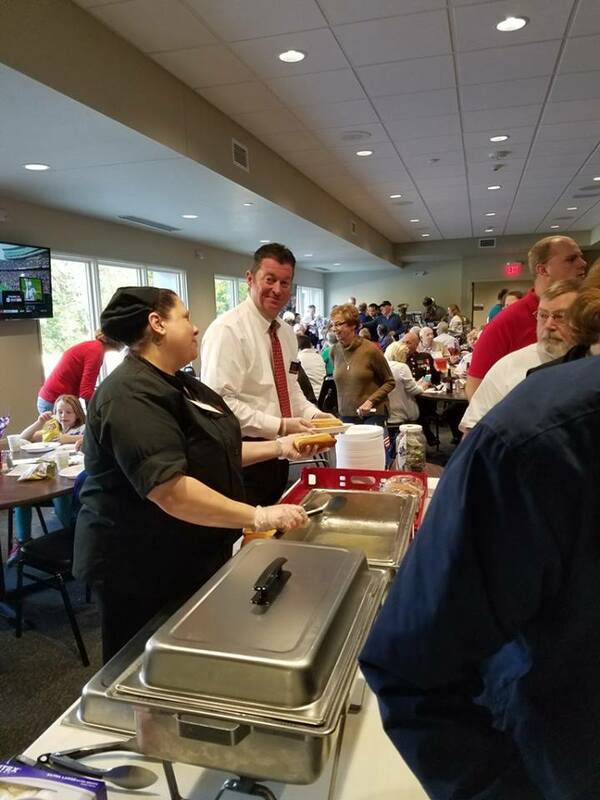 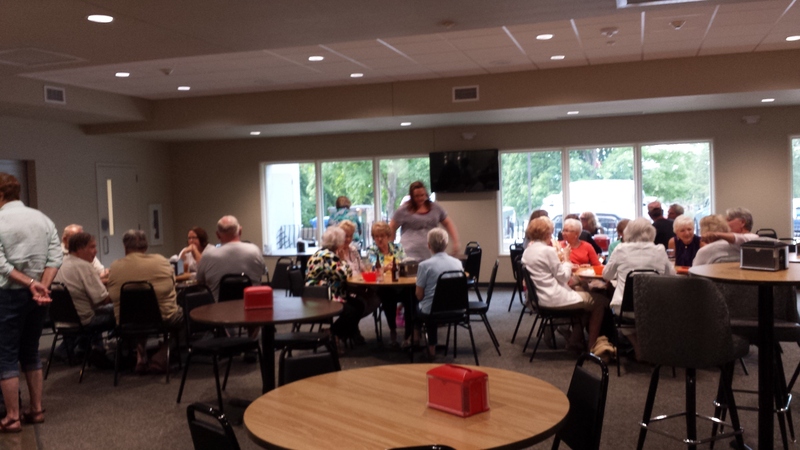 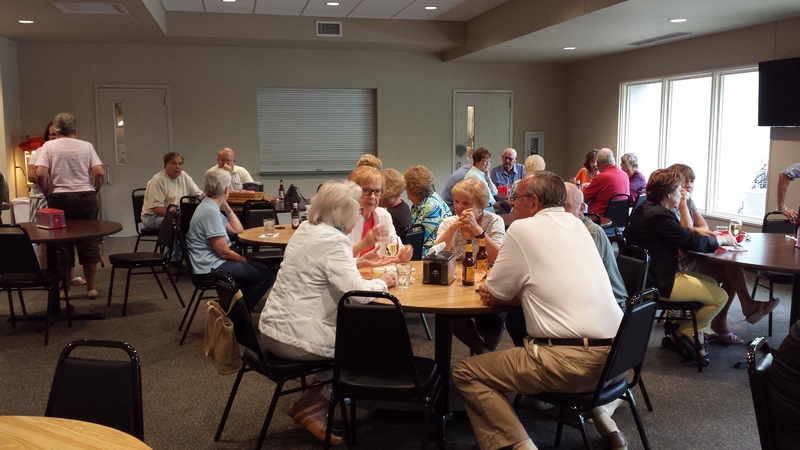 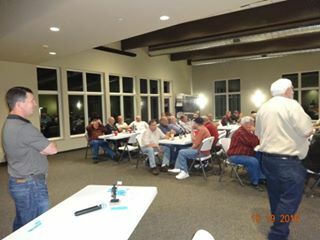 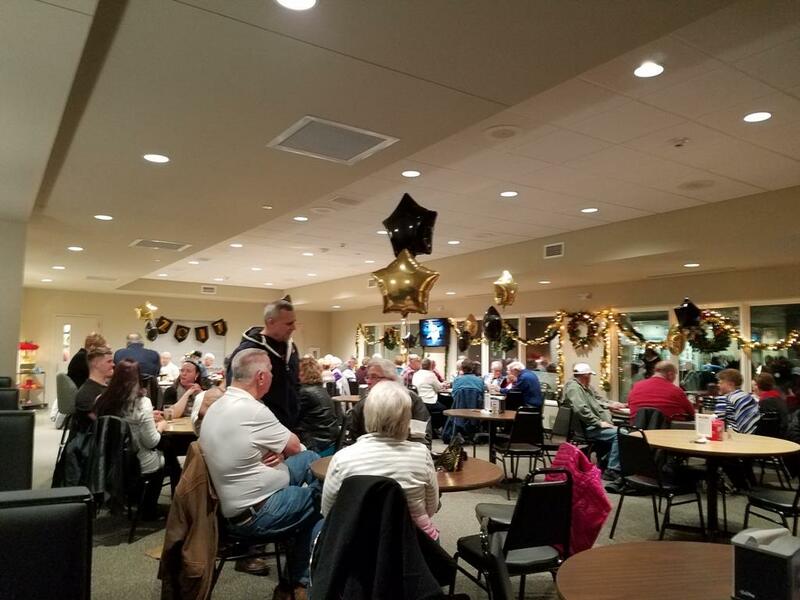 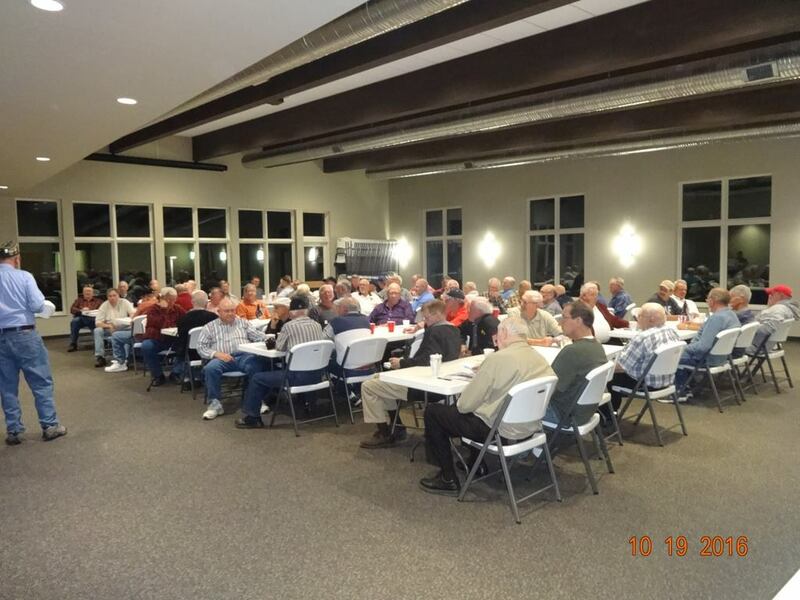 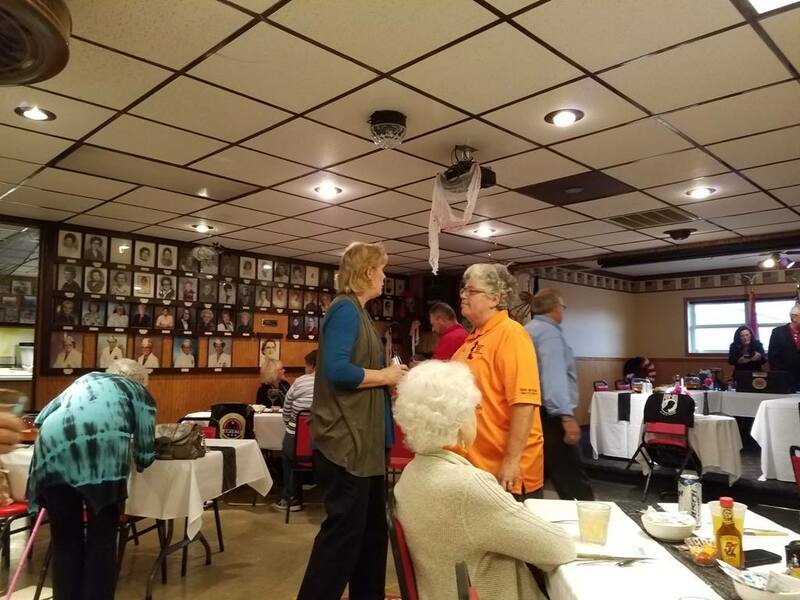 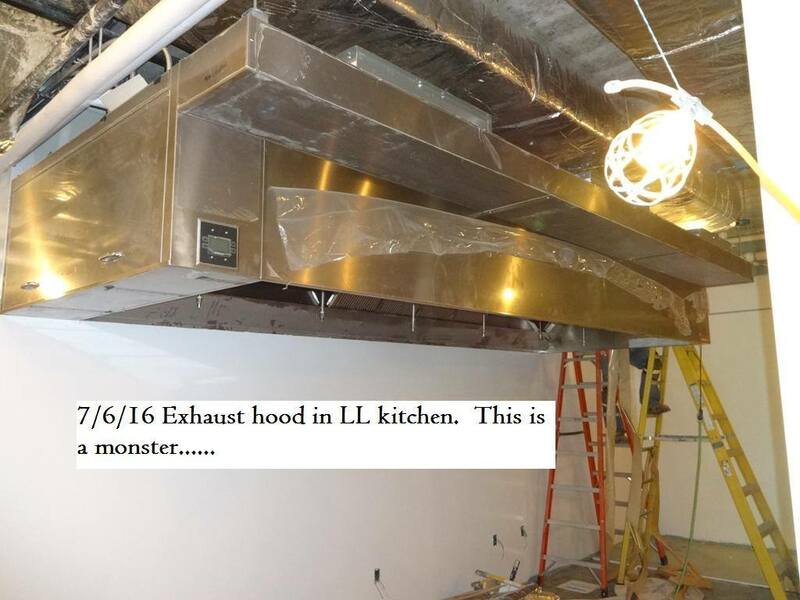 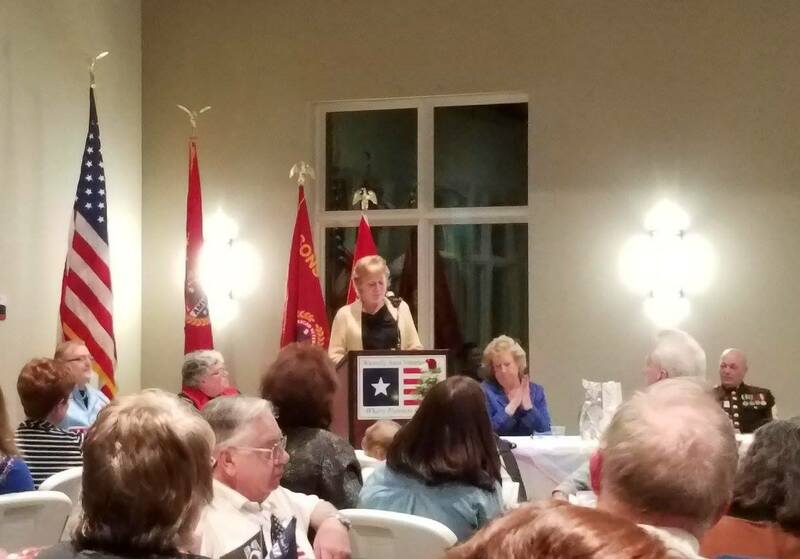 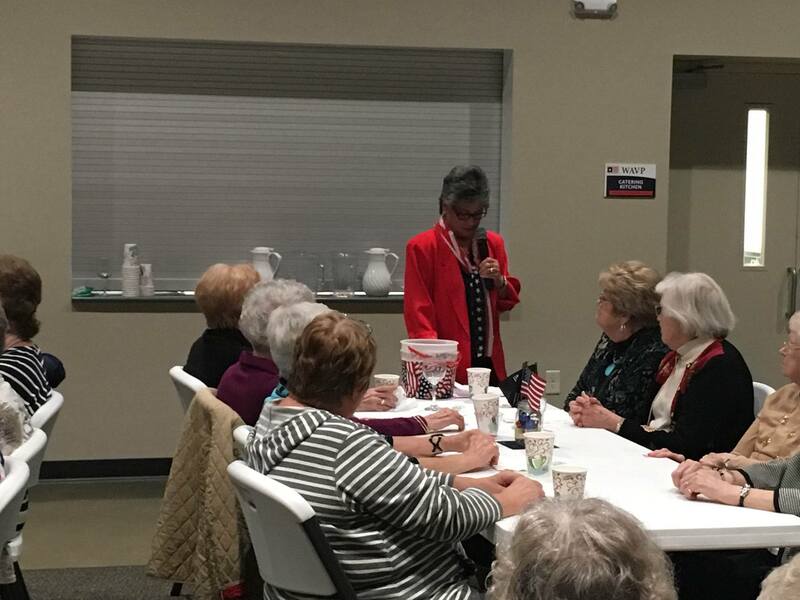 Pictures include WAVP Breakfast, Grand Opening Event and the following reception, as well as some random pictures of the club this week. 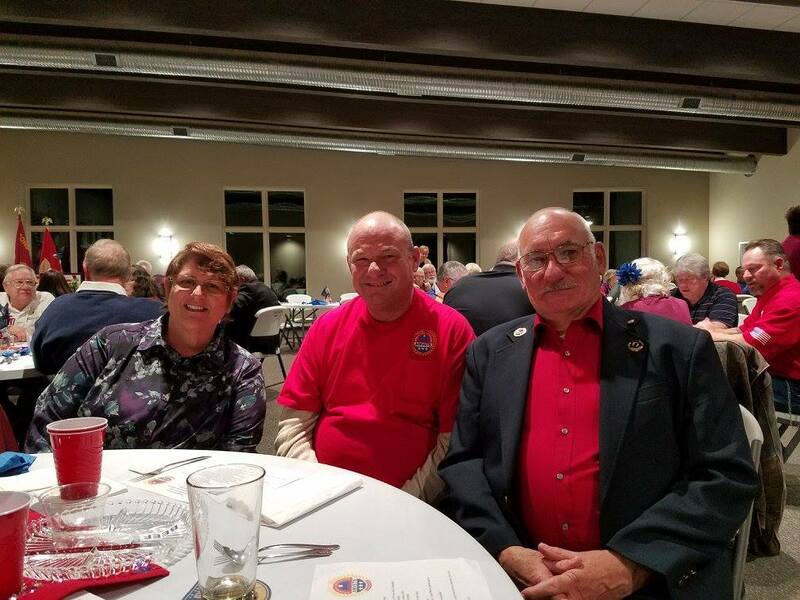 This entry was posted in Gallery and tagged AMVETS, post, 79, post 79, veterans, service members, community, AMVETS Post 79, Ladies, Auxiliary, Ladies Auxiliary, sons of amvets, sons, amvet, bremer, bremer county, Iowa, Iowa AMVETS Post 79, Waverly Iowa, AMVETS Club, waverly amvets, waverly vets, waverly veterans, waverly amvets post 79, waverly area veterans, WAVP, AMVETS Auxiliary, Waverly Area Veterans Post, amvets post, service, waverly ia, Waverly Area on October 10, 2016 by NuggetWeb Support. 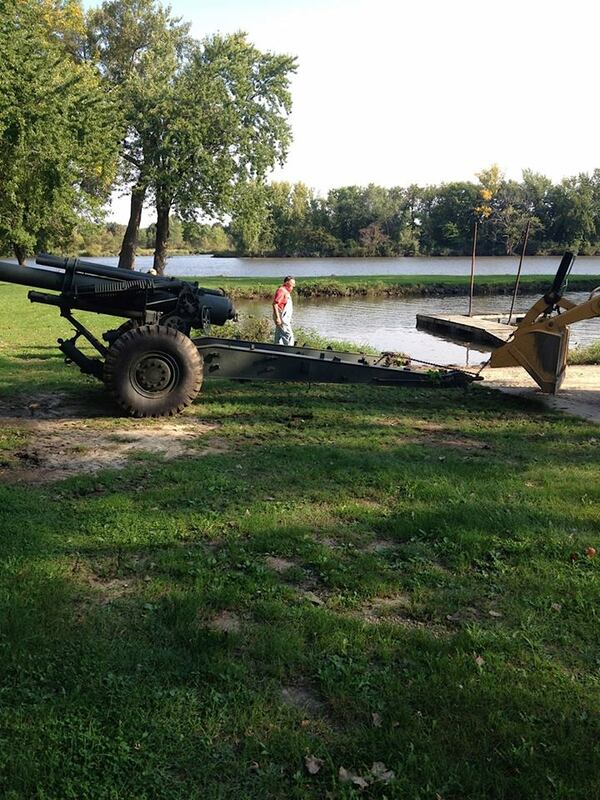 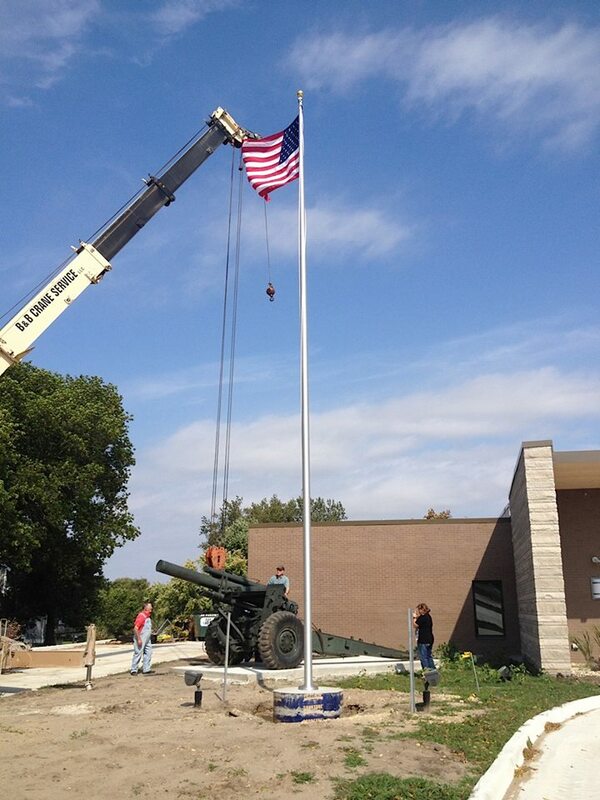 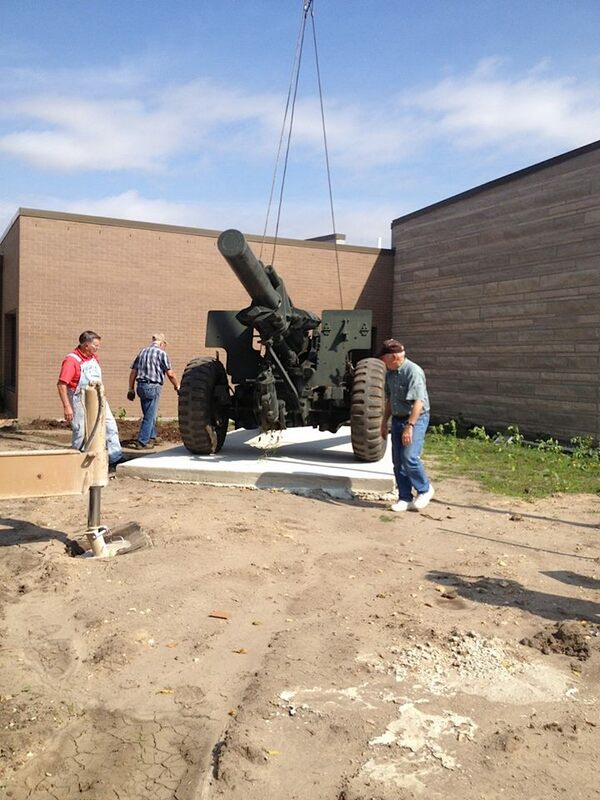 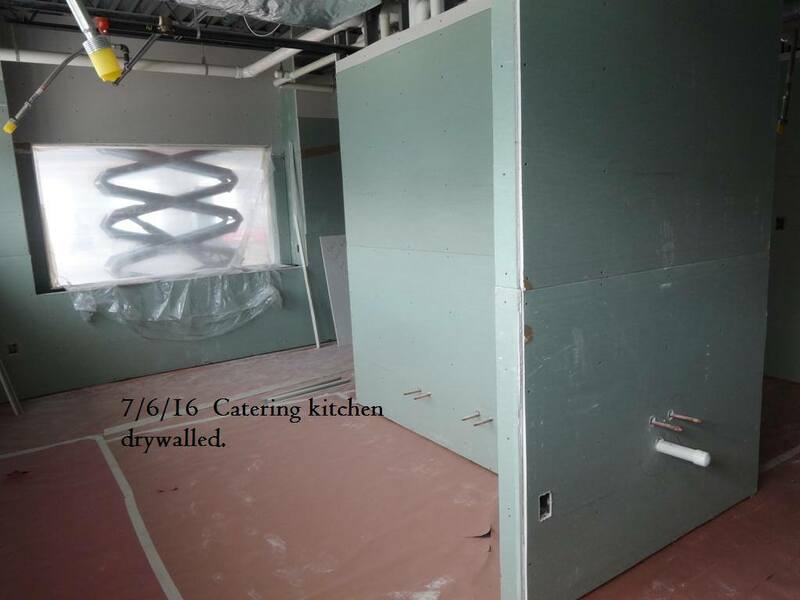 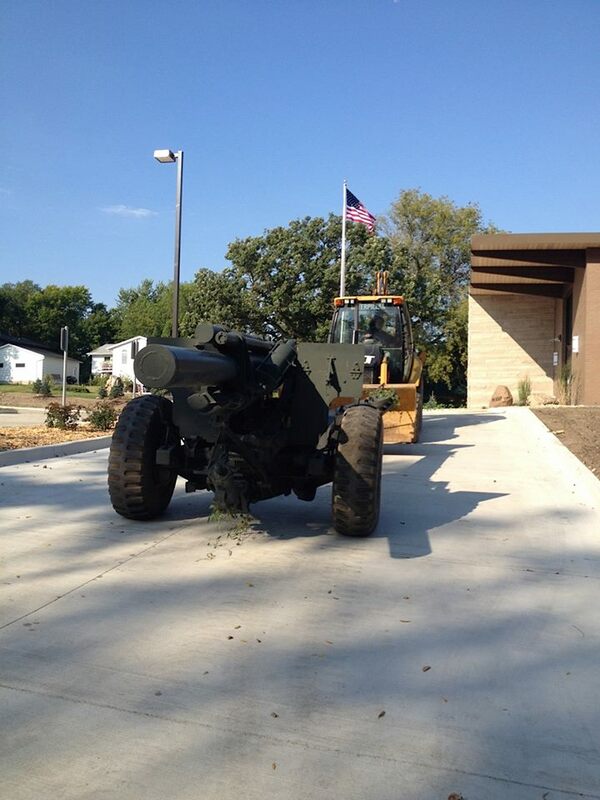 The artillery gun was moved back to its place at the front of the building early on September 21, 2016. 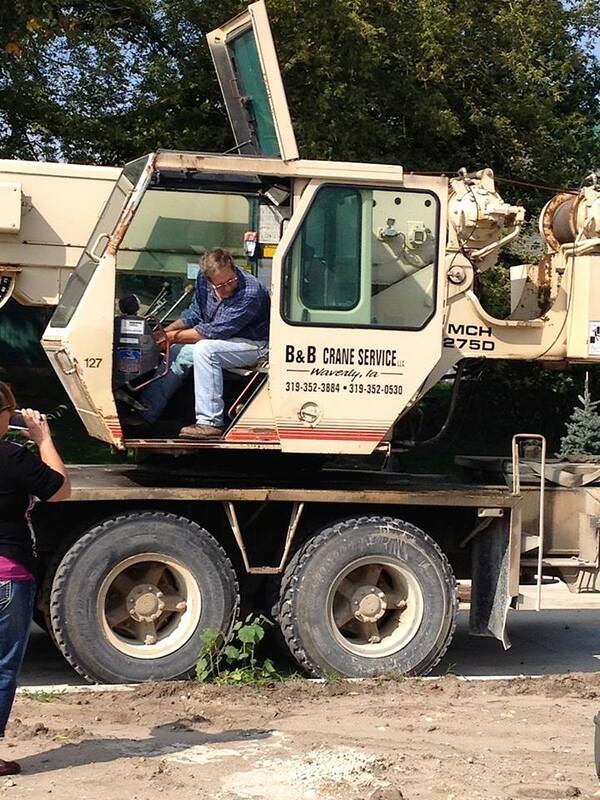 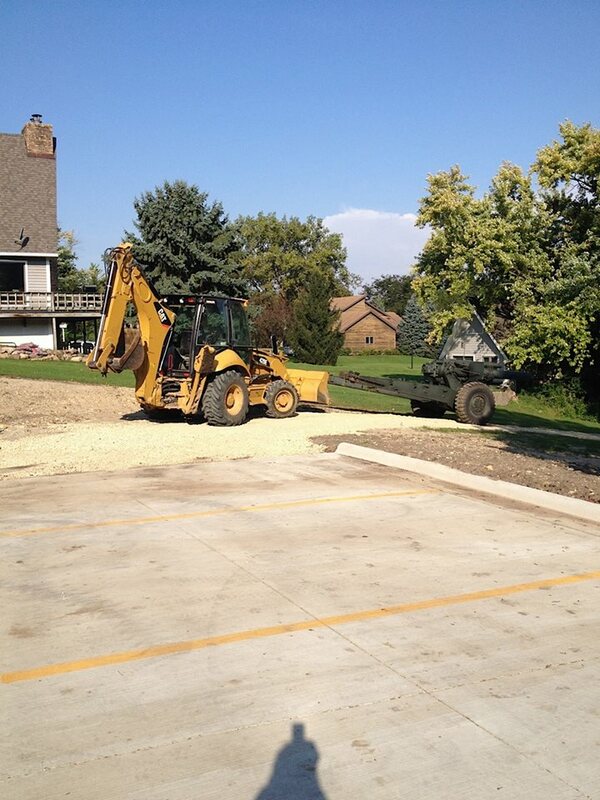 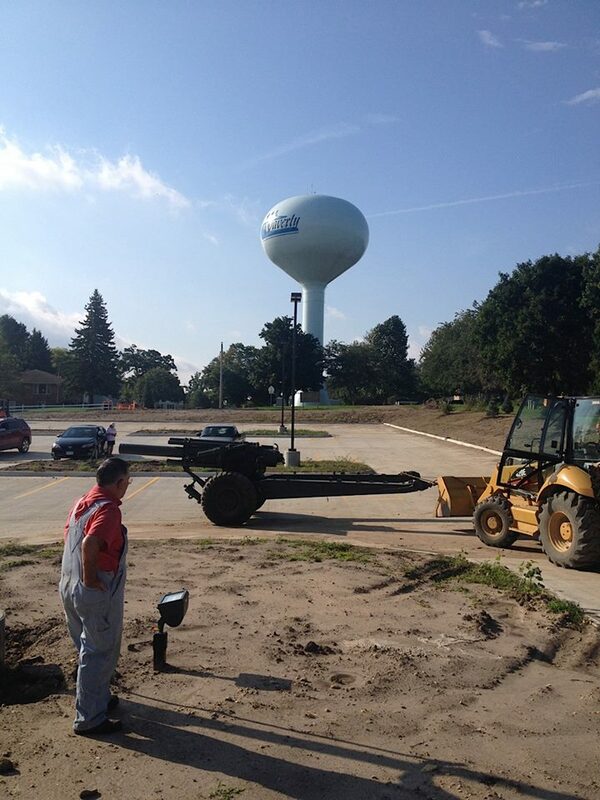 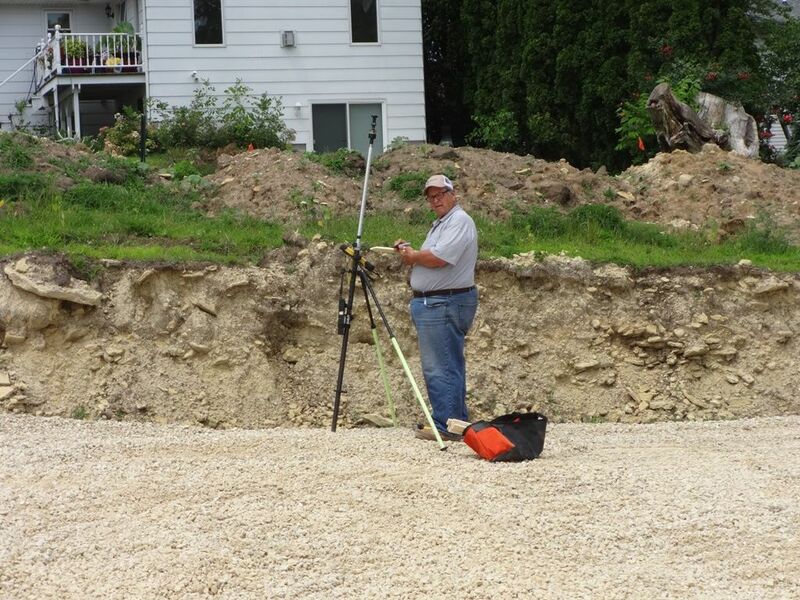 The backhoe and crane needed to move it were operated by WAVP Chairman Darrell Blasberg. 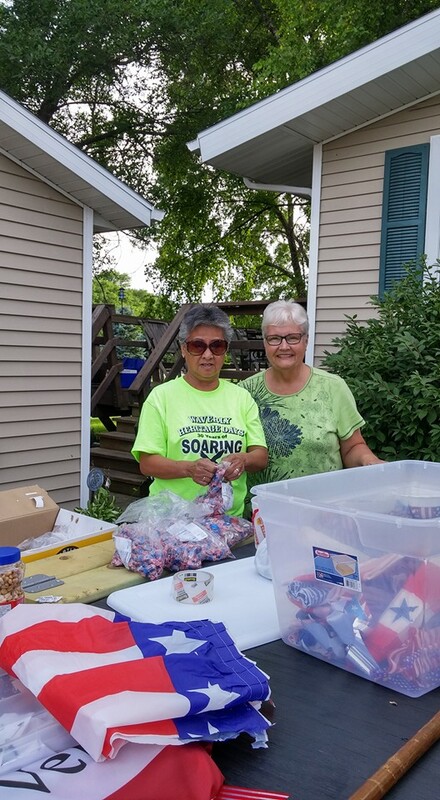 This entry was posted in Gallery and tagged AMVETS, post, 79, post 79, veterans, service members, community, AMVETS Post 79, Ladies, Auxiliary, Ladies Auxiliary, sons of amvets, sons, amvet, bremer, bremer county, Iowa, Iowa AMVETS Post 79, Waverly Iowa, AMVETS Club, waverly amvets, waverly vets, waverly veterans, waverly amvets post 79, waverly area veterans, WAVP, AMVETS Auxiliary, Waverly Area Veterans Post, amvets post, service, waverly ia, Waverly Area on September 22, 2016 by NuggetWeb Support. 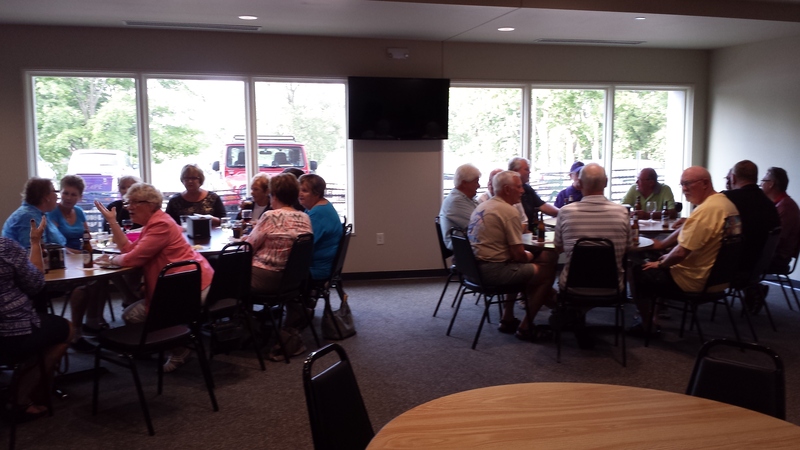 Thanks everyone for showing up and supporting your new club! 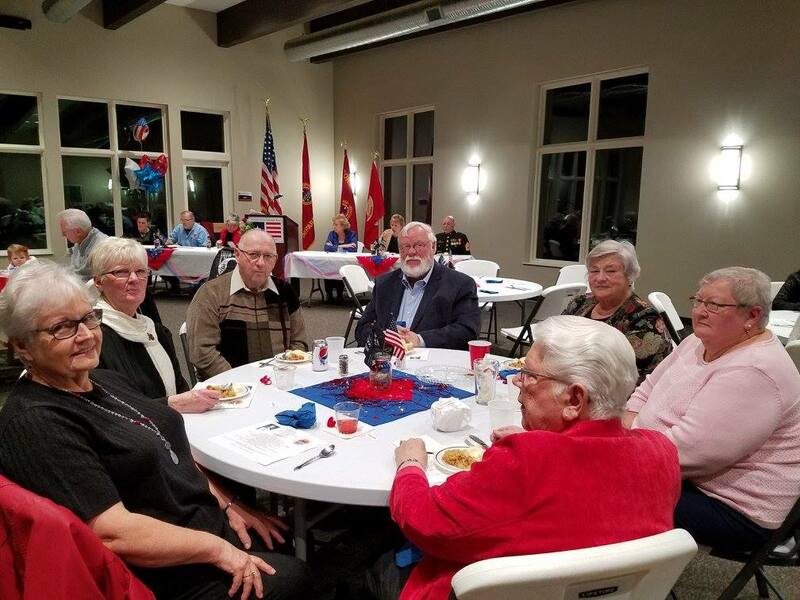 This entry was posted in Gallery and tagged AMVETS, post, 79, post 79, veterans, service members, community, AMVETS Post 79, Ladies, Auxiliary, Ladies Auxiliary, sons of amvets, sons, amvet, bremer, bremer county, Iowa, Iowa AMVETS Post 79, Waverly Iowa, AMVETS Club, waverly amvets, waverly vets, waverly veterans, waverly amvets post 79, waverly area veterans, WAVP, AMVETS Auxiliary, Waverly Area Veterans Post, amvets post, service, waverly ia, Waverly Area on August 31, 2016 by NuggetWeb Support. 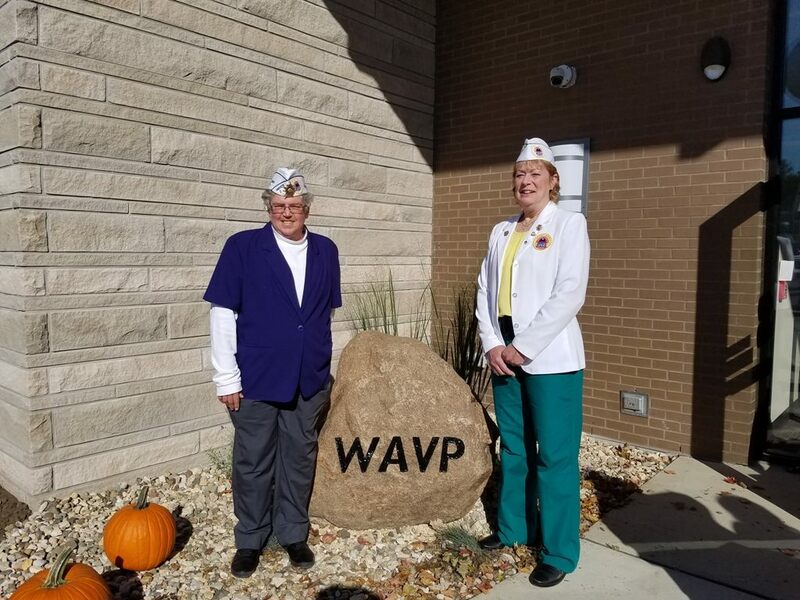 This entry was posted in Gallery and tagged AMVETS, post, 79, post 79, veterans, service members, community, AMVETS Post 79, Ladies, Auxiliary, Ladies Auxiliary, sons of amvets, sons, amvet, bremer, bremer county, Iowa, Iowa AMVETS Post 79, Waverly Iowa, AMVETS Club, waverly amvets, waverly vets, waverly veterans, waverly amvets post 79, waverly area veterans, WAVP, AMVETS Auxiliary, Waverly Area Veterans Post, amvets post, service, waverly ia, Waverly Area on July 21, 2016 by NuggetWeb Support. 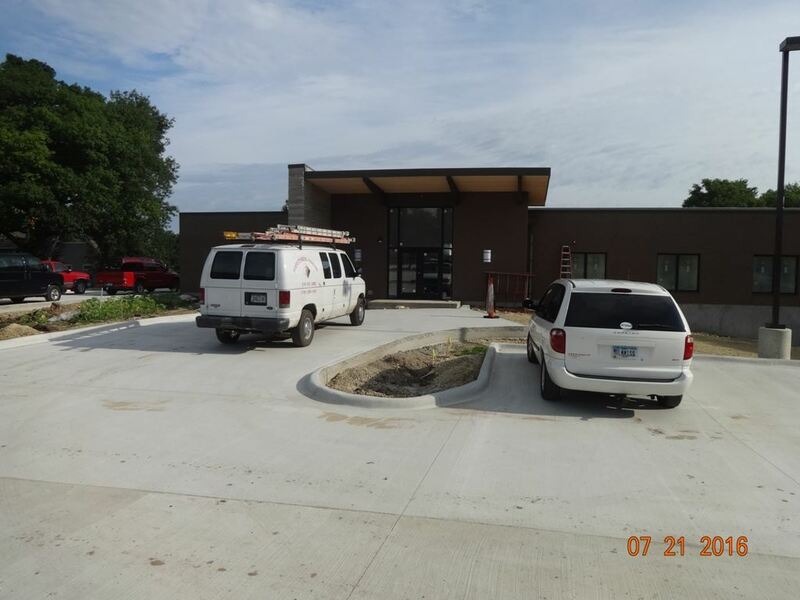 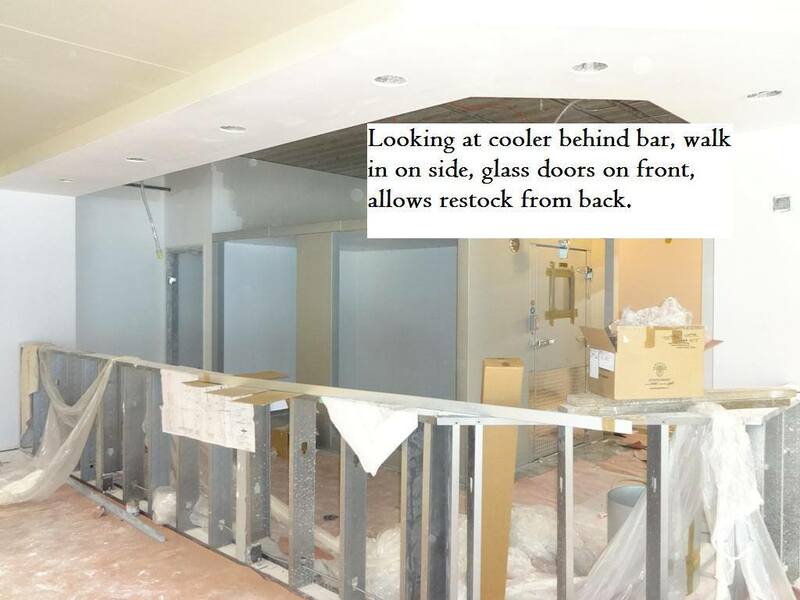 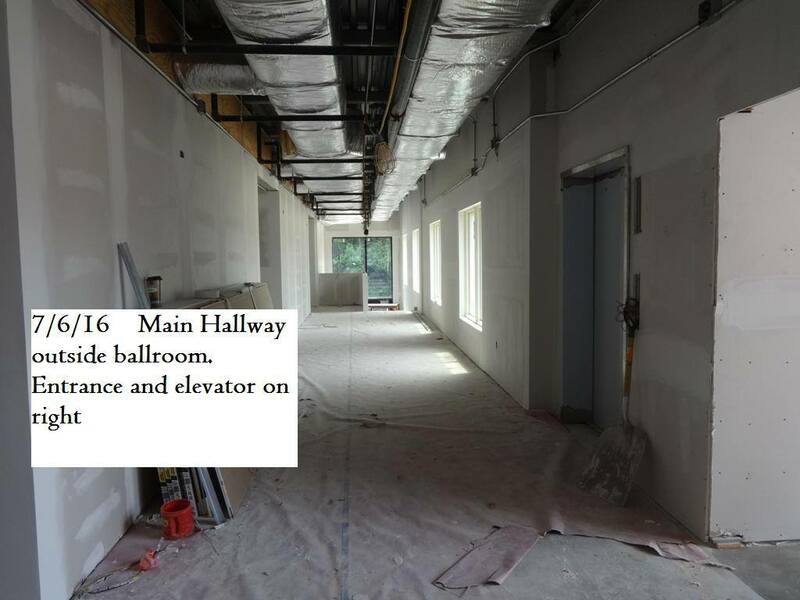 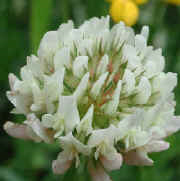 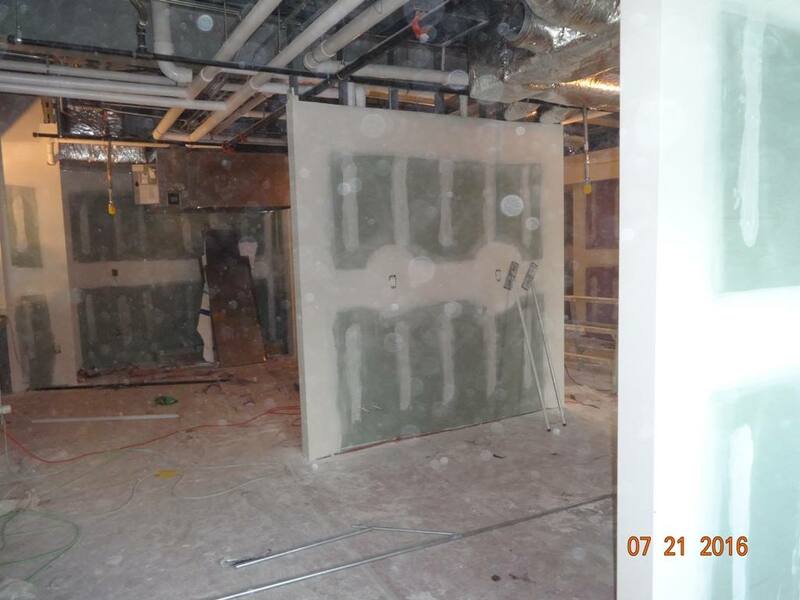 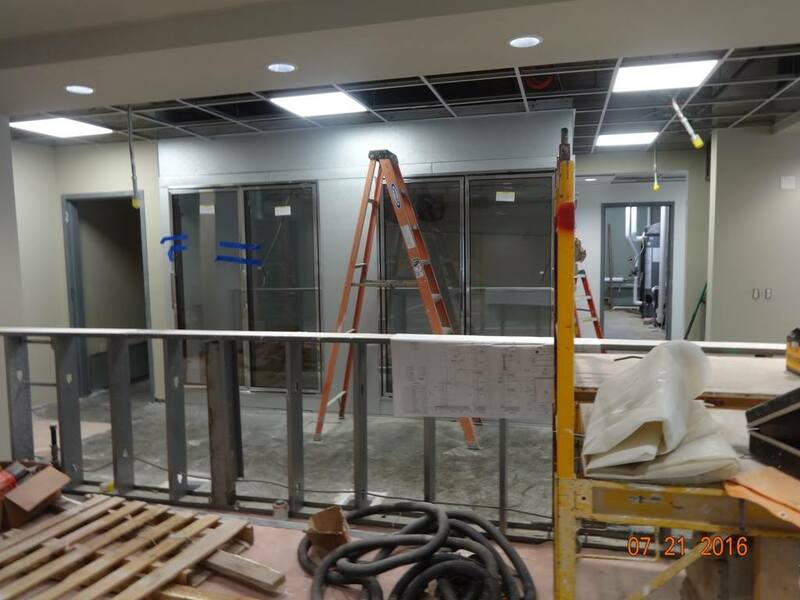 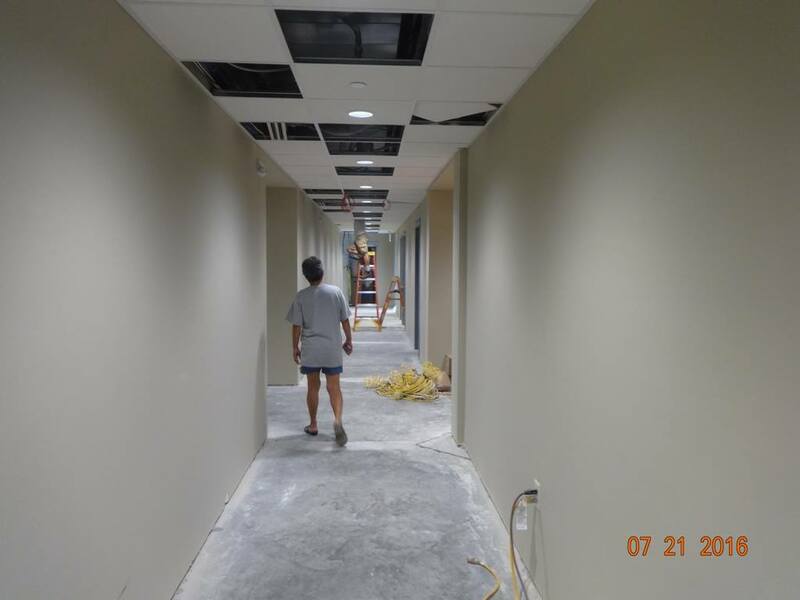 Series of photos taken today outside and inside the building. 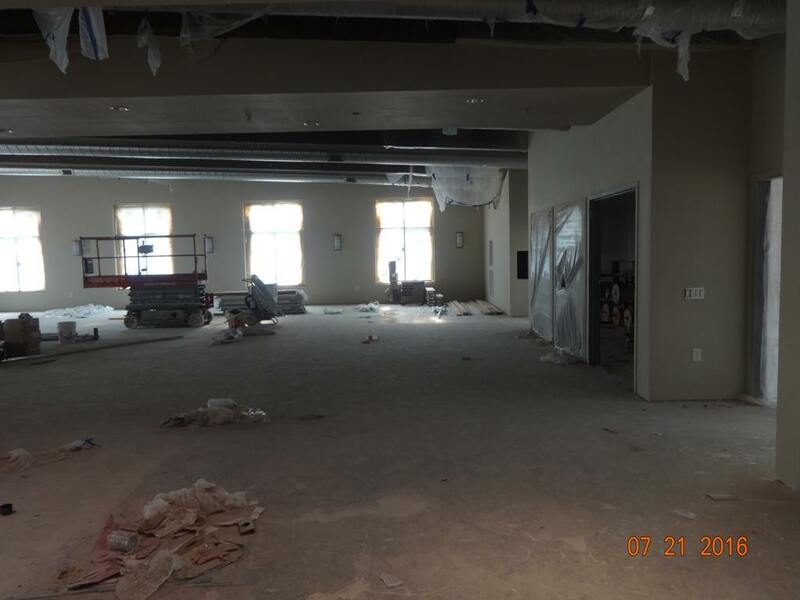 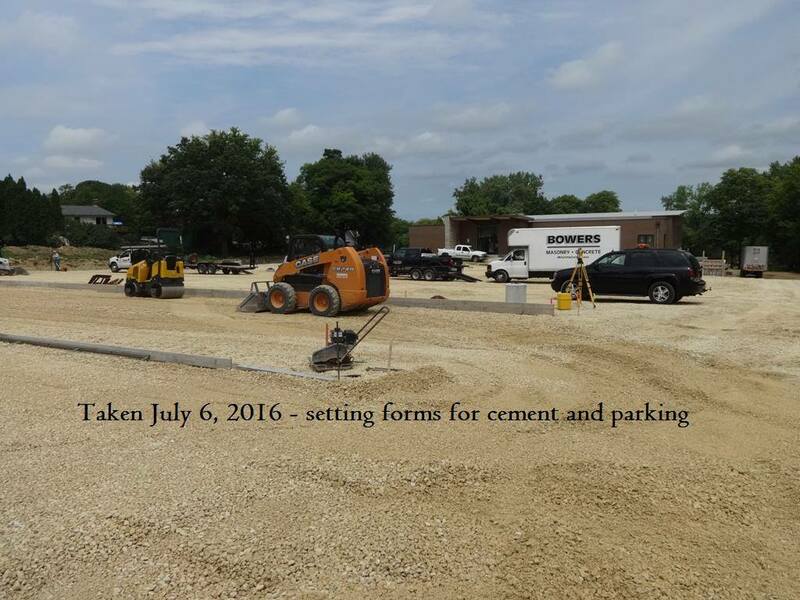 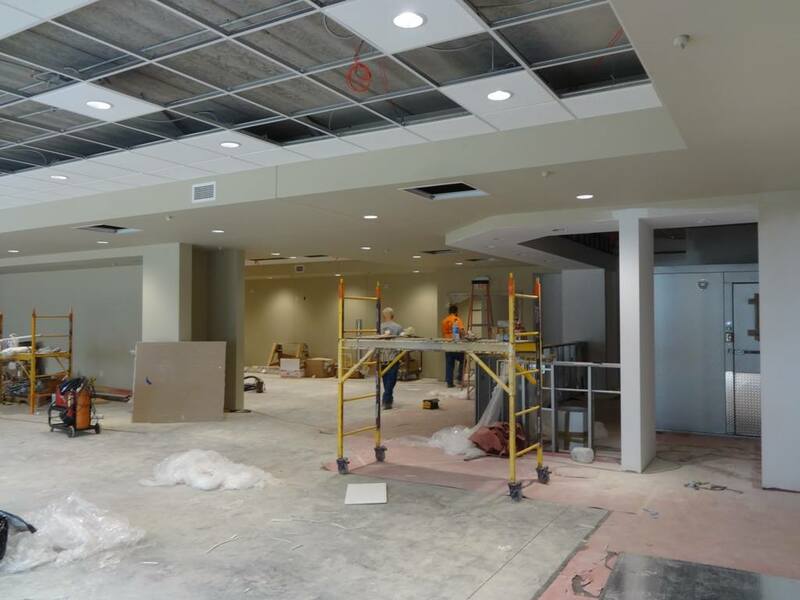 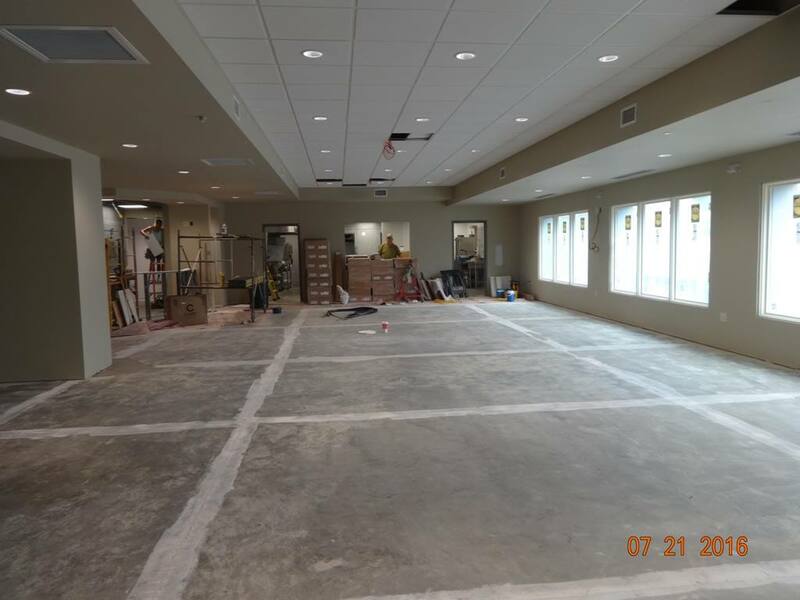 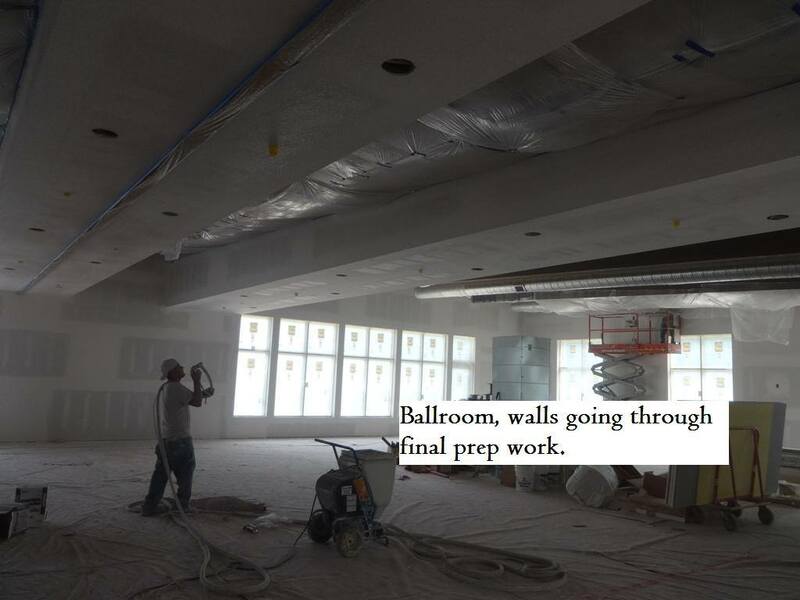 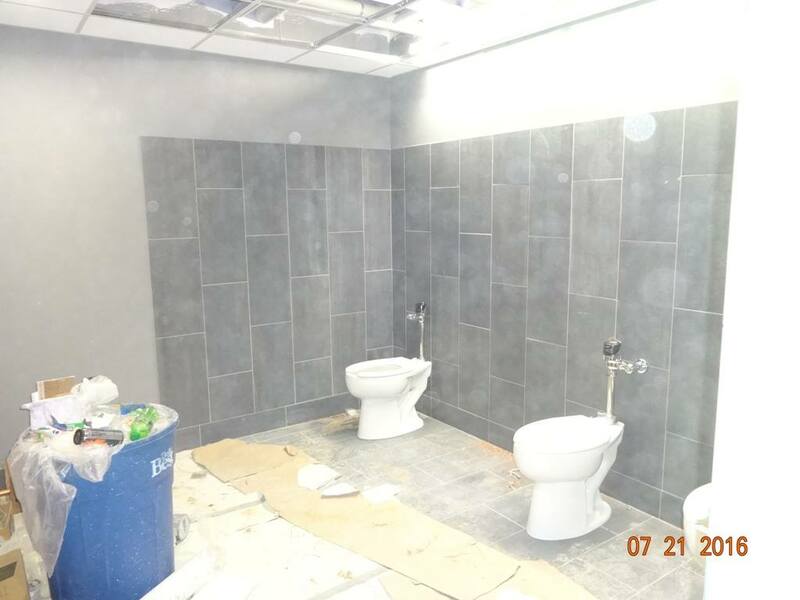 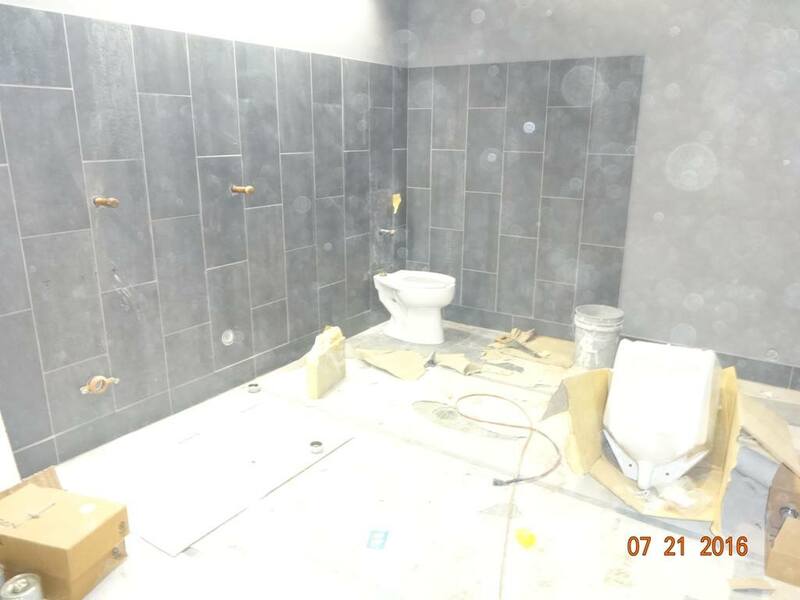 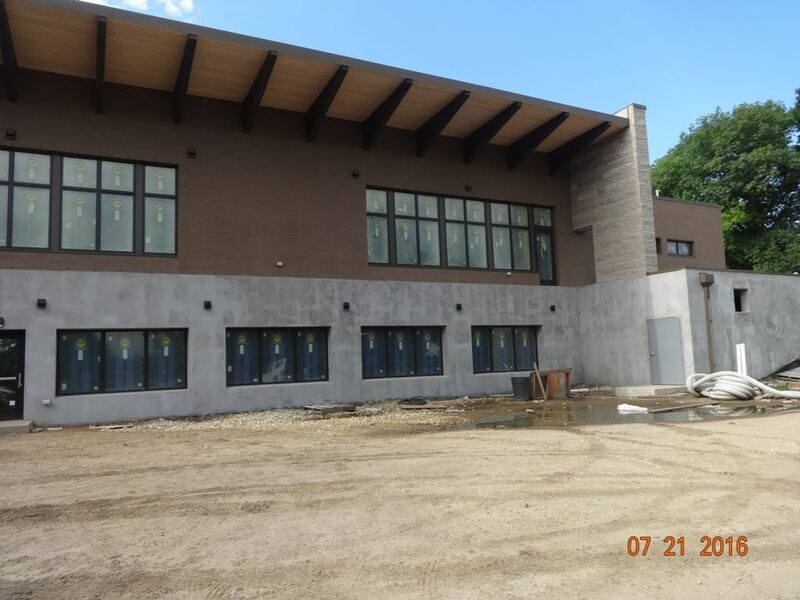 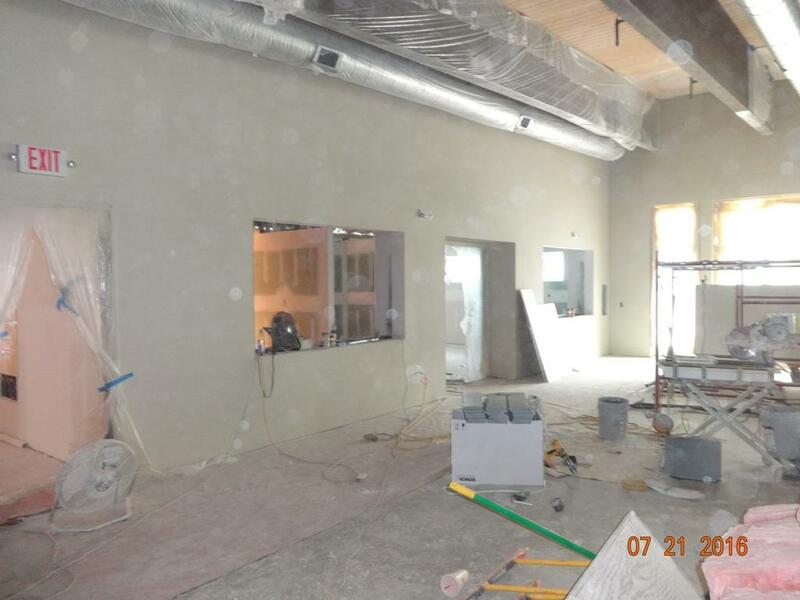 Parking lot is getting ready for cement, inside equipment is being installed and prep work and painting is being done along with some floor work. 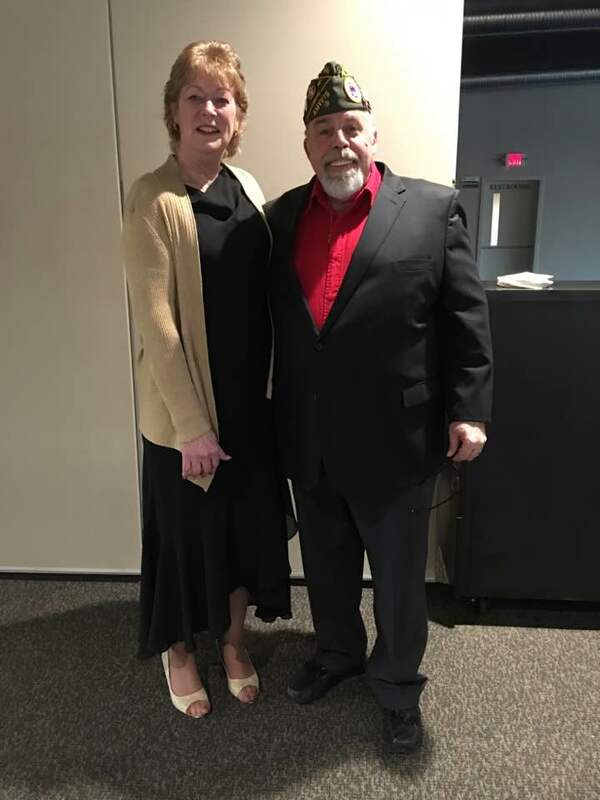 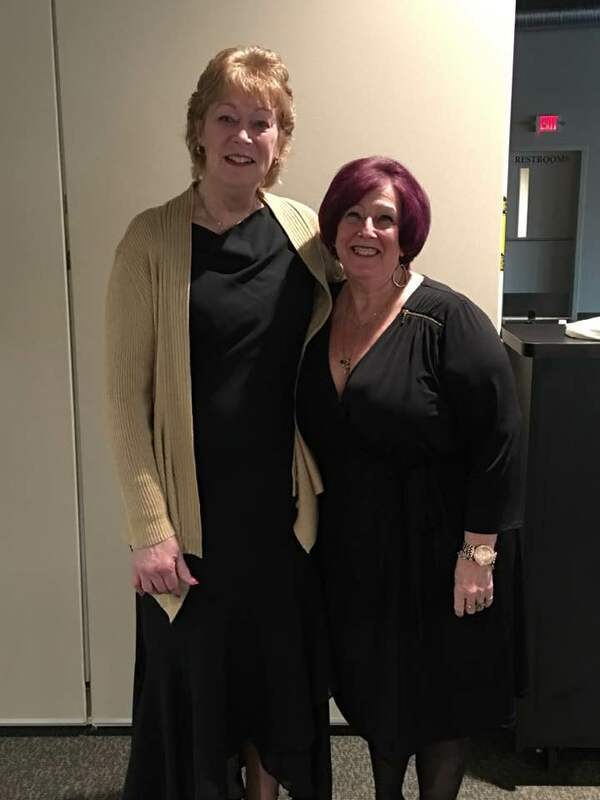 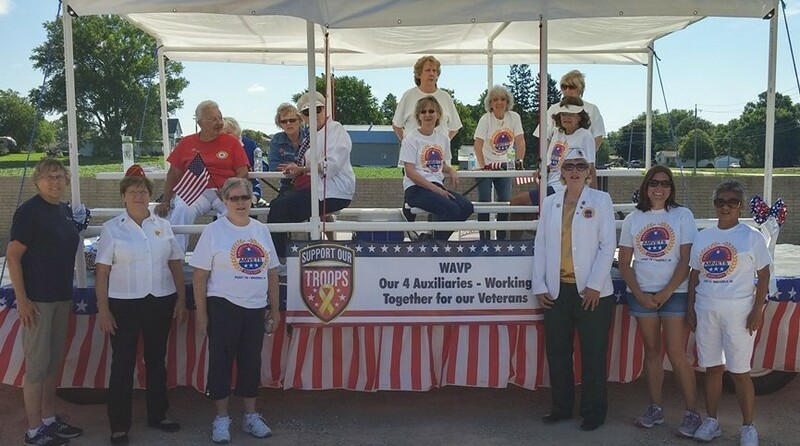 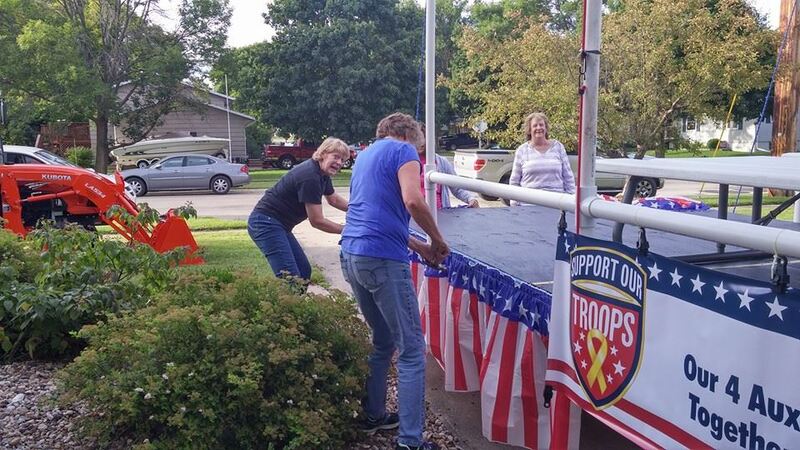 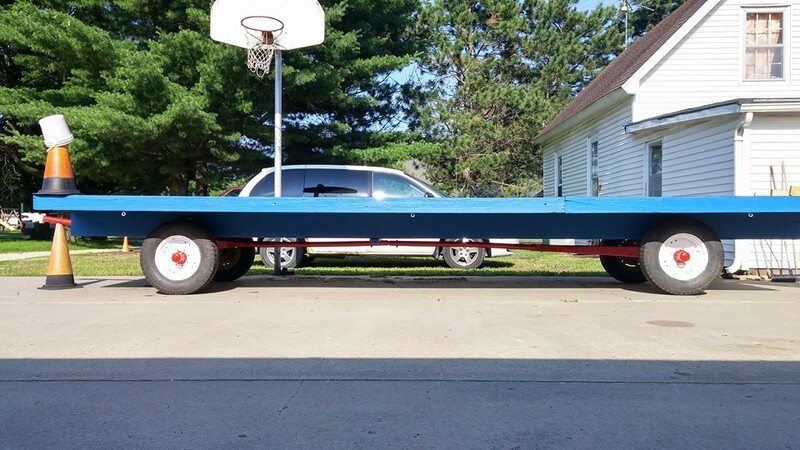 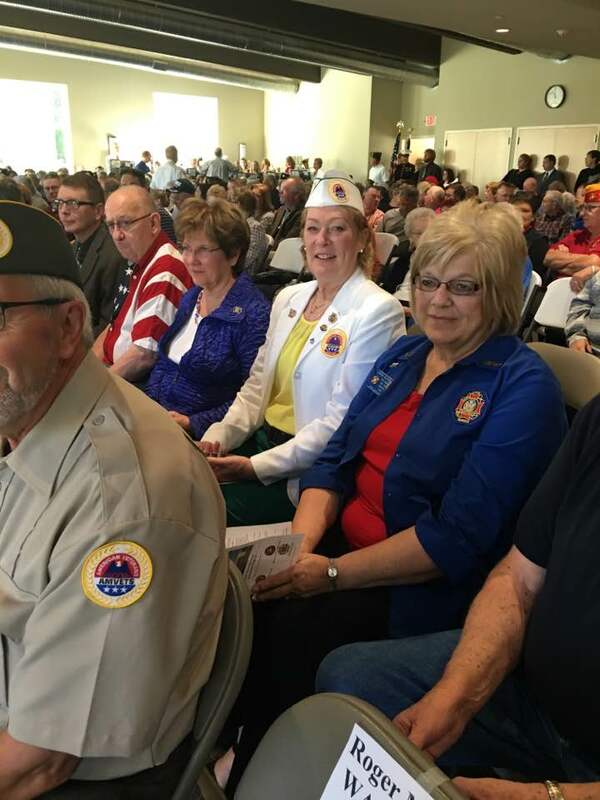 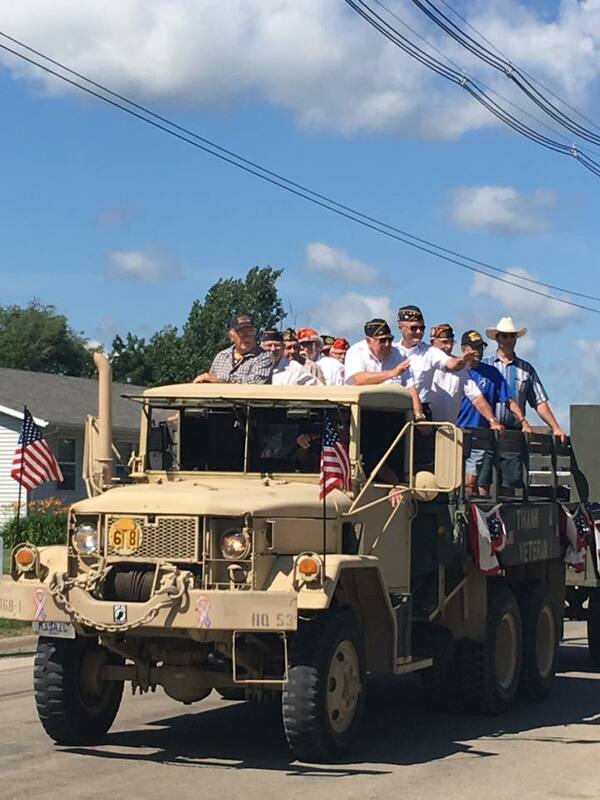 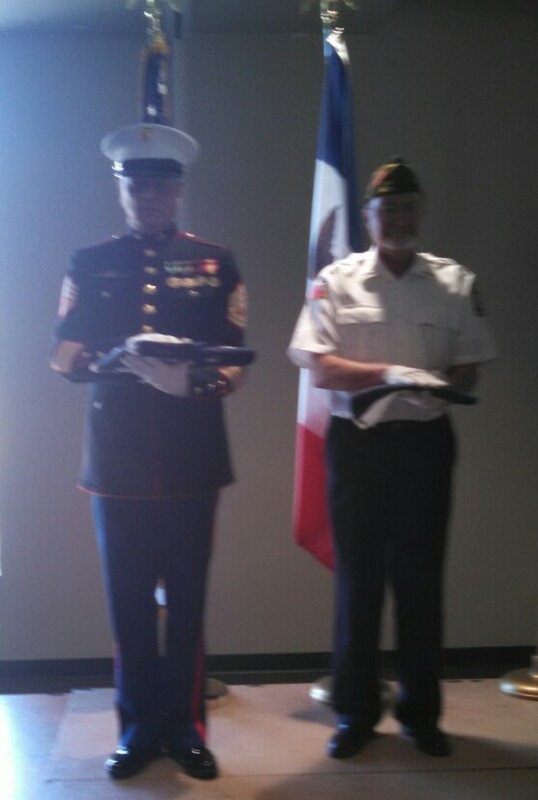 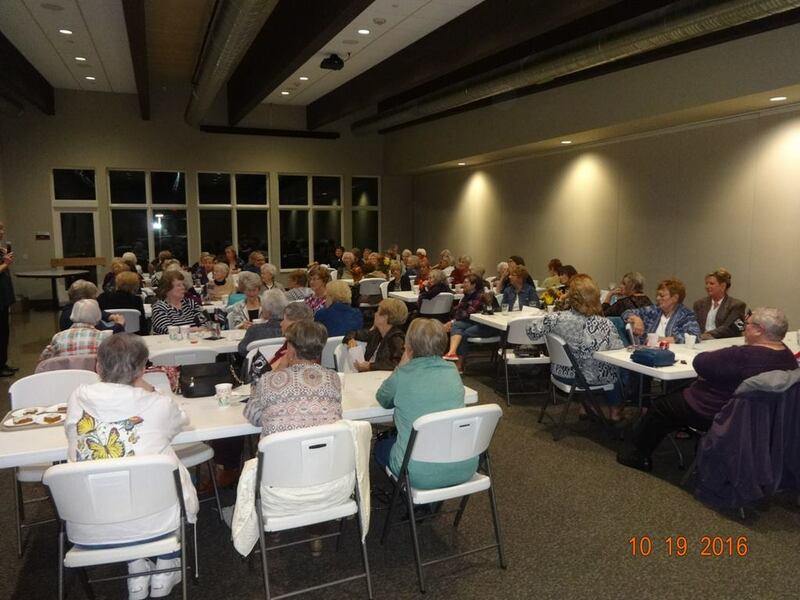 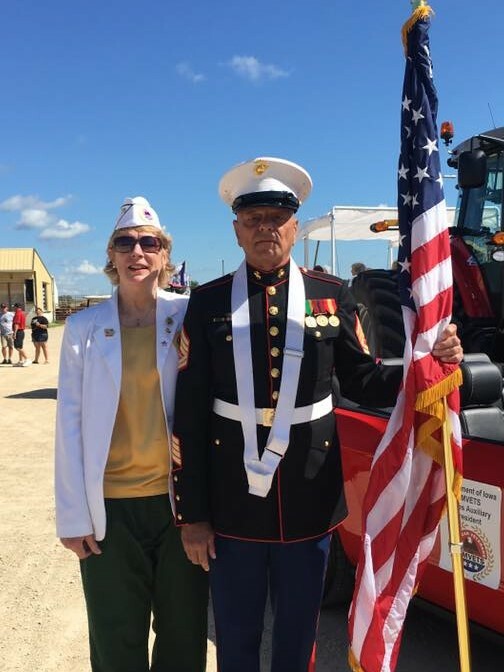 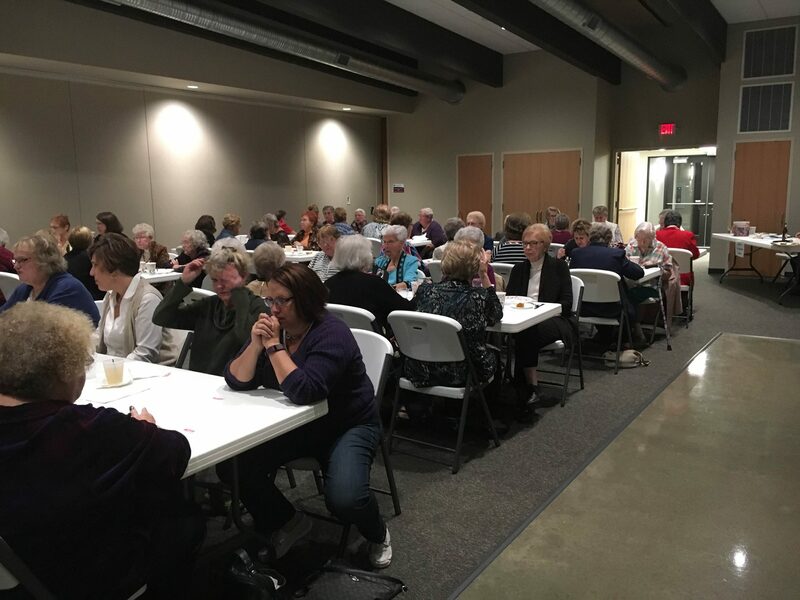 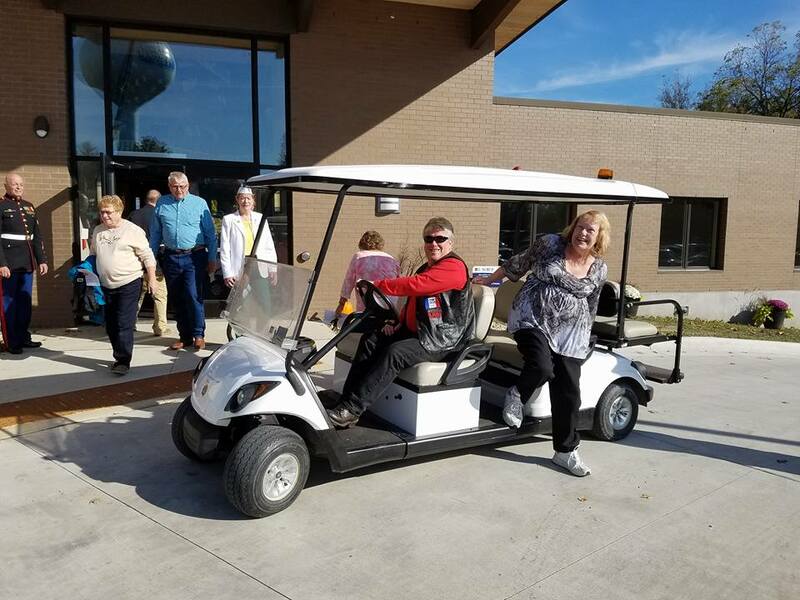 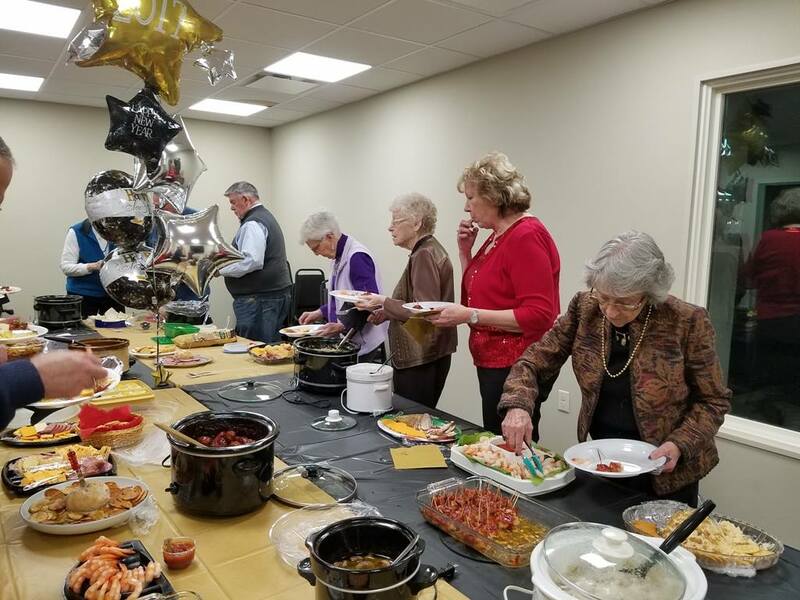 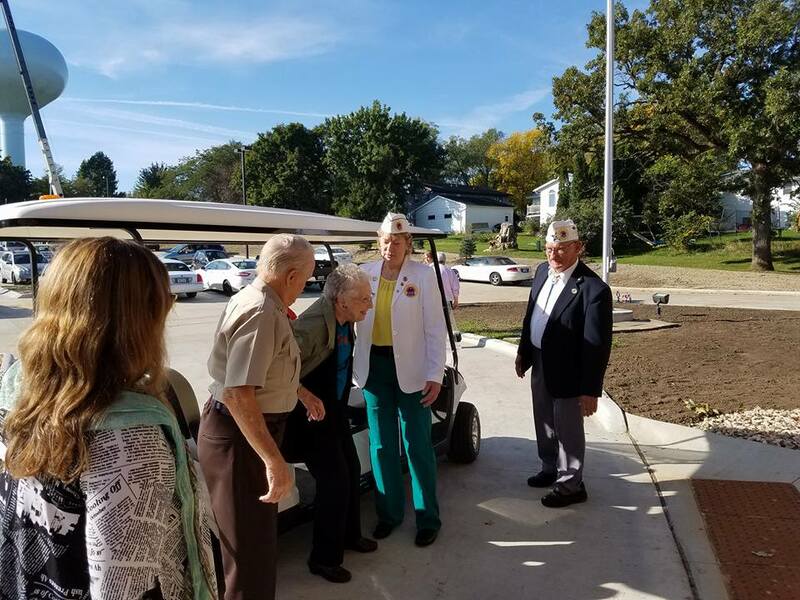 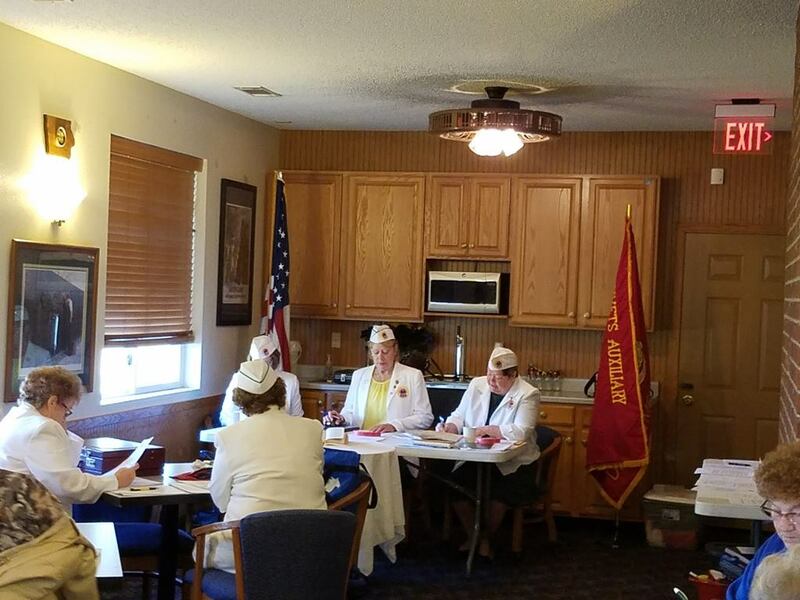 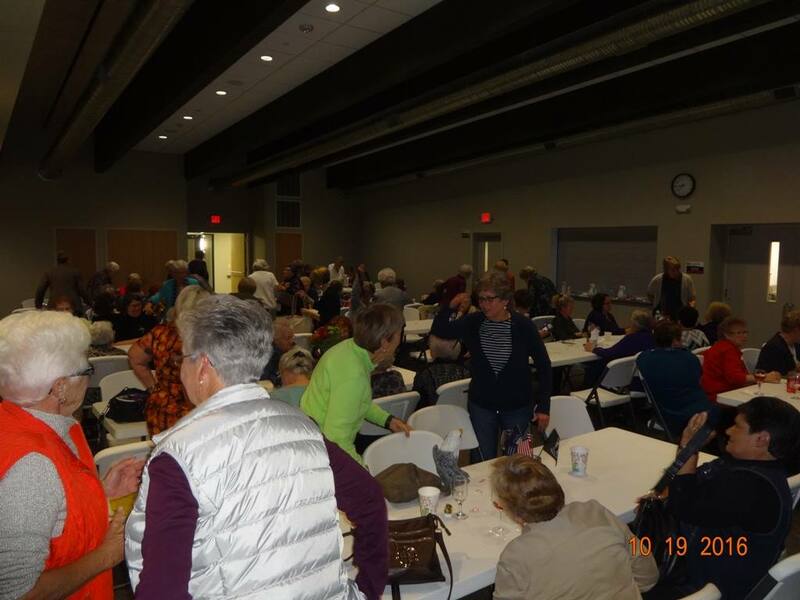 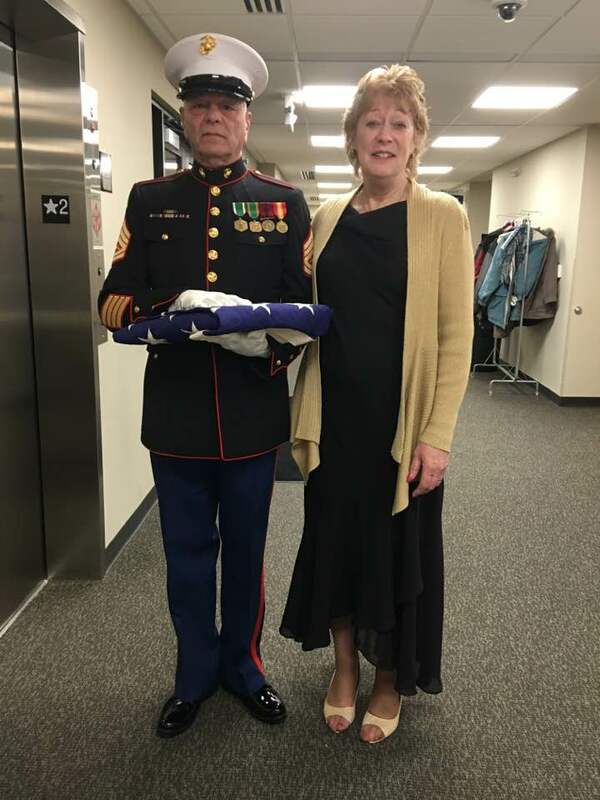 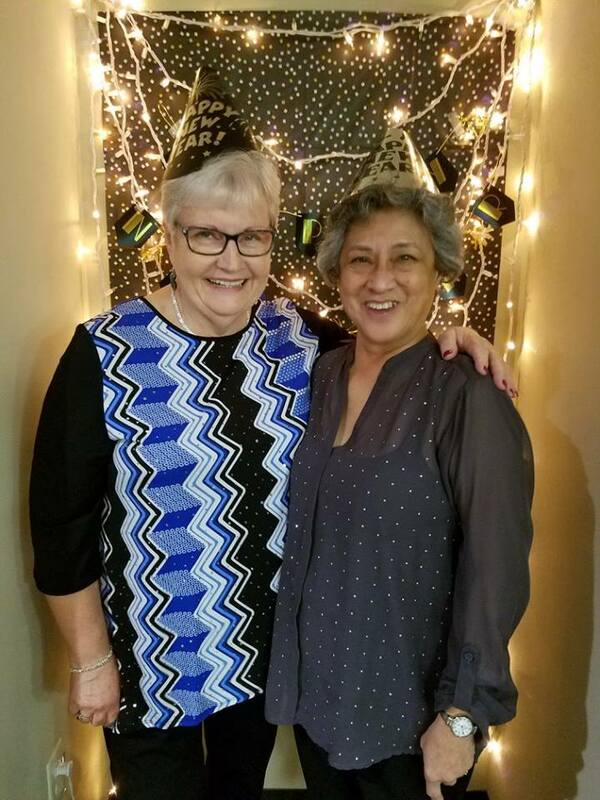 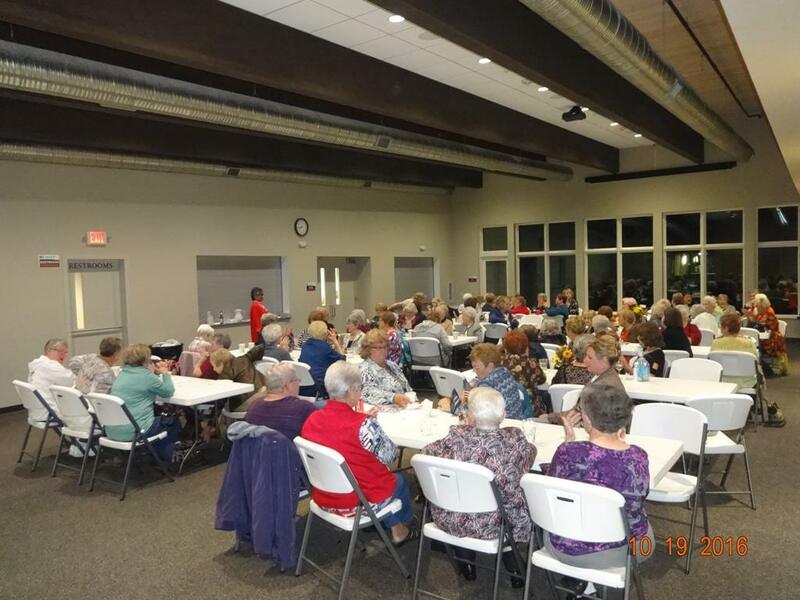 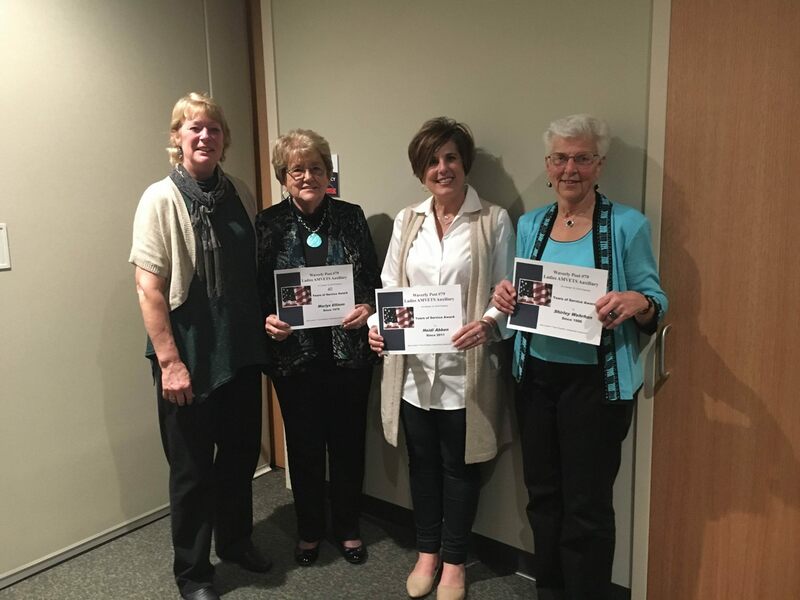 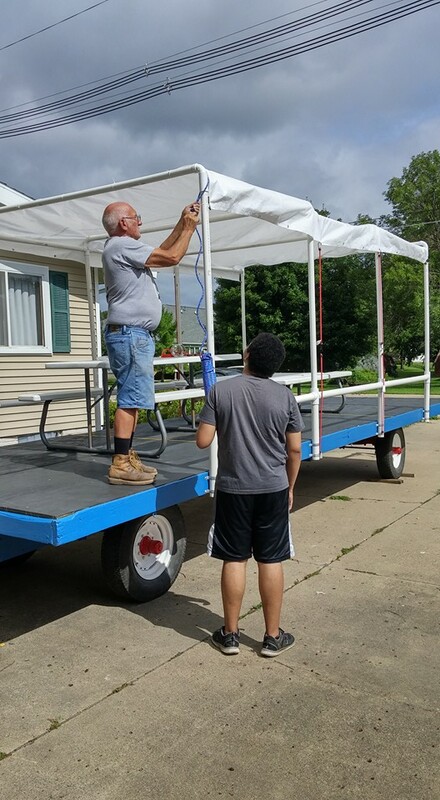 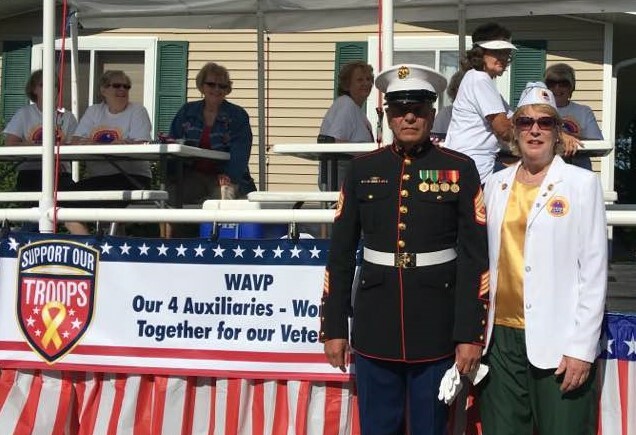 This entry was posted in Gallery and tagged AMVETS, post, 79, post 79, veterans, service members, community, AMVETS Post 79, Ladies, Auxiliary, Ladies Auxiliary, sons of amvets, sons, amvet, bremer, bremer county, Iowa, Iowa AMVETS Post 79, Waverly Iowa, AMVETS Club, waverly amvets, waverly vets, waverly veterans, waverly amvets post 79, waverly area veterans, WAVP, AMVETS Auxiliary, Waverly Area Veterans Post, amvets post, service, waverly ia, Waverly Area on July 6, 2016 by NuggetWeb Support.